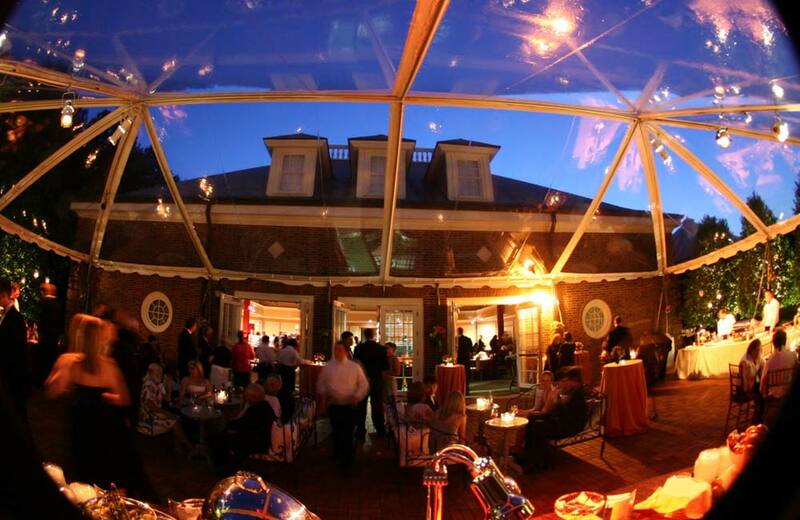 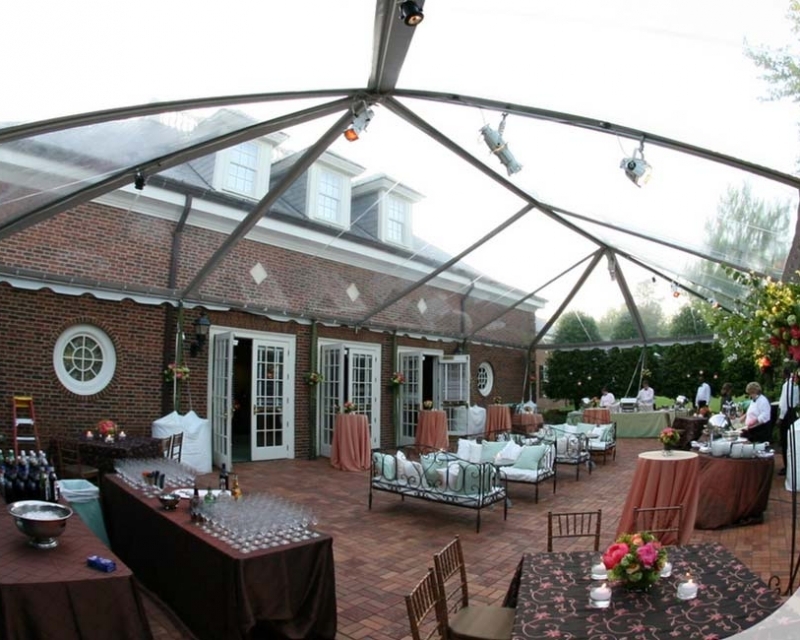 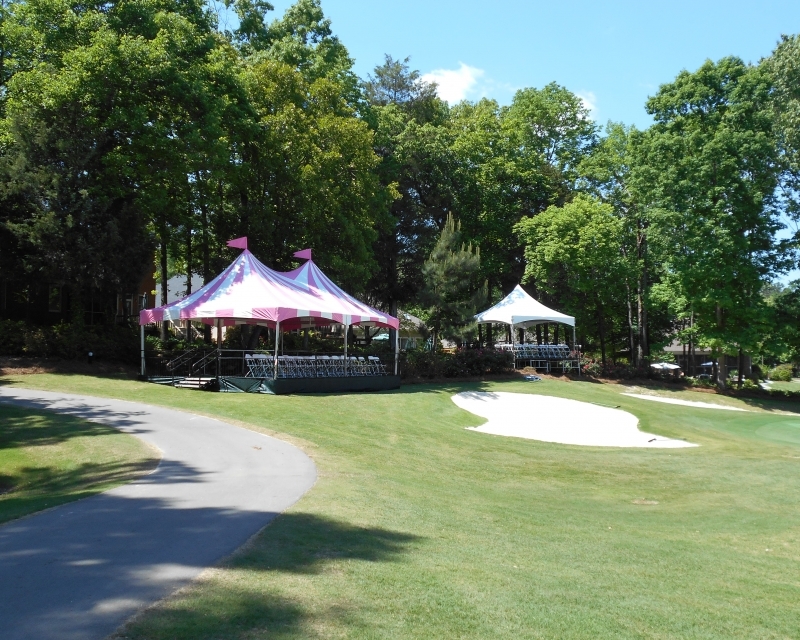 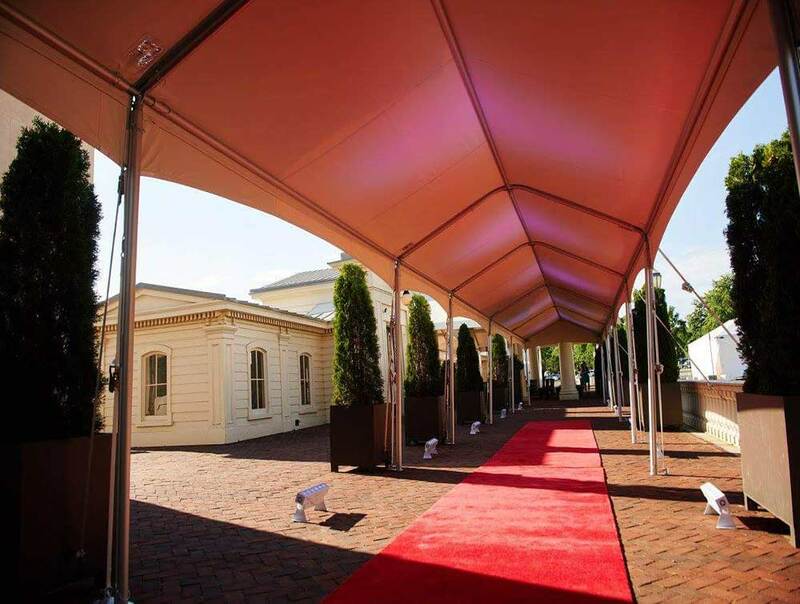 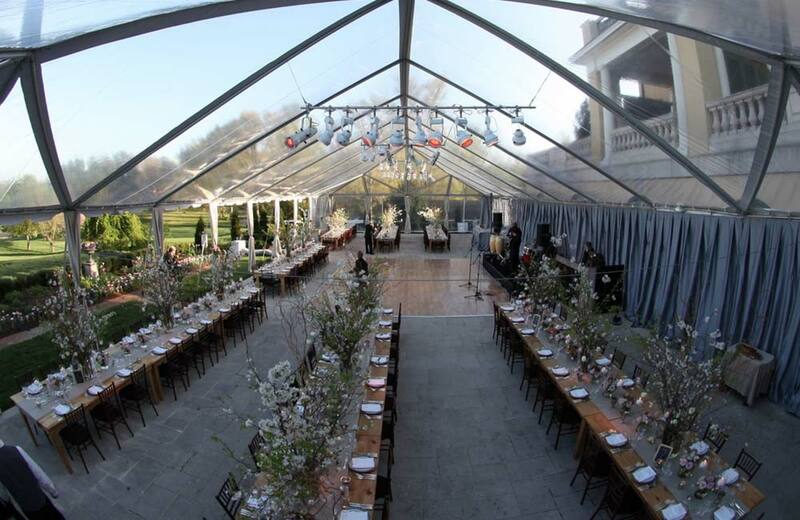 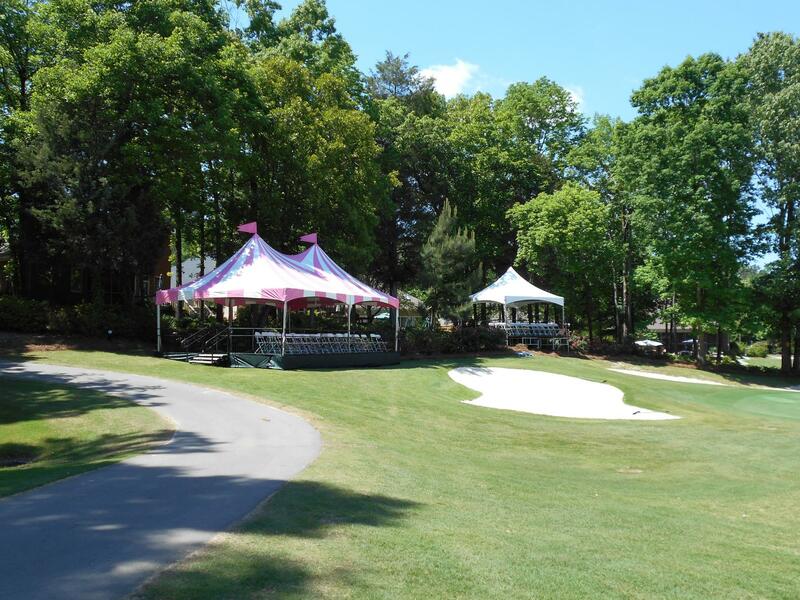 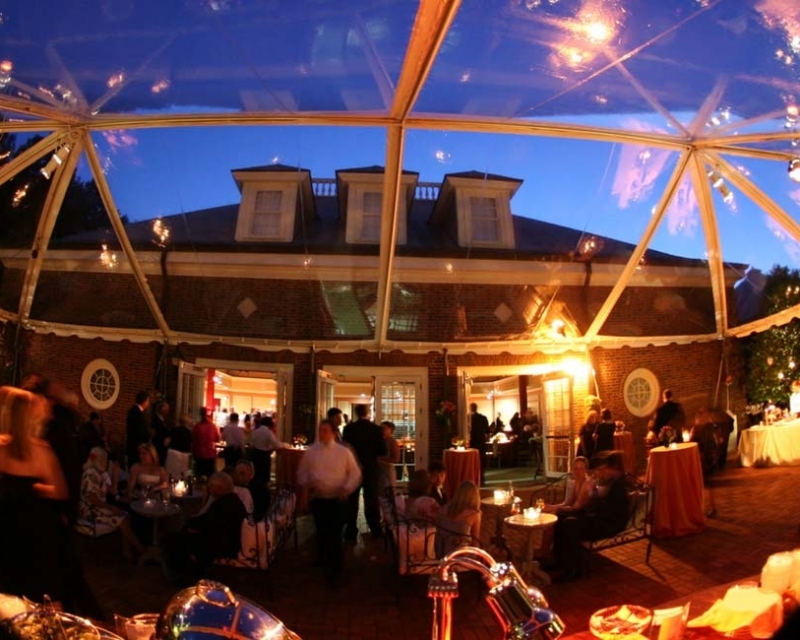 Manufactured frame tents provide an open space for your events while offering a multitude of style options. 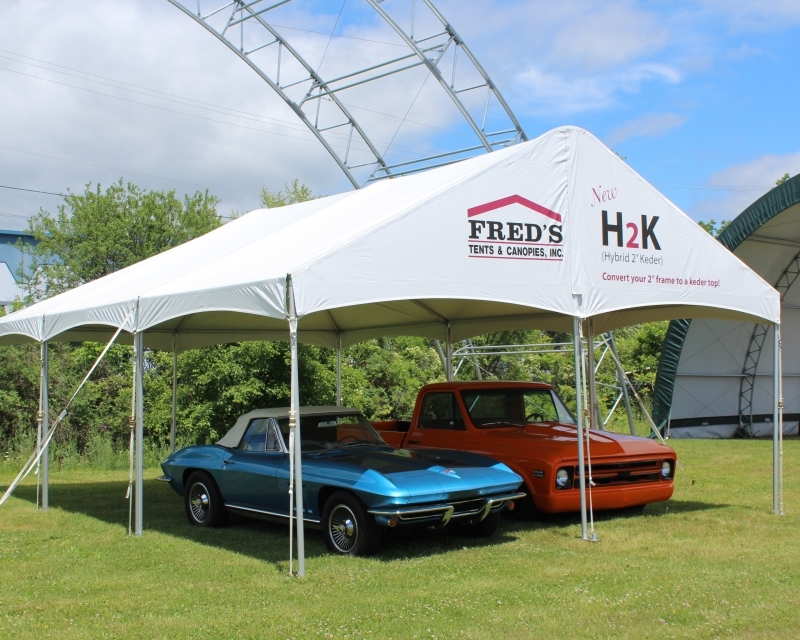 Fred’s Tent’s & Canopies has been a leading supplier of commercial frame tents for over 30 years. 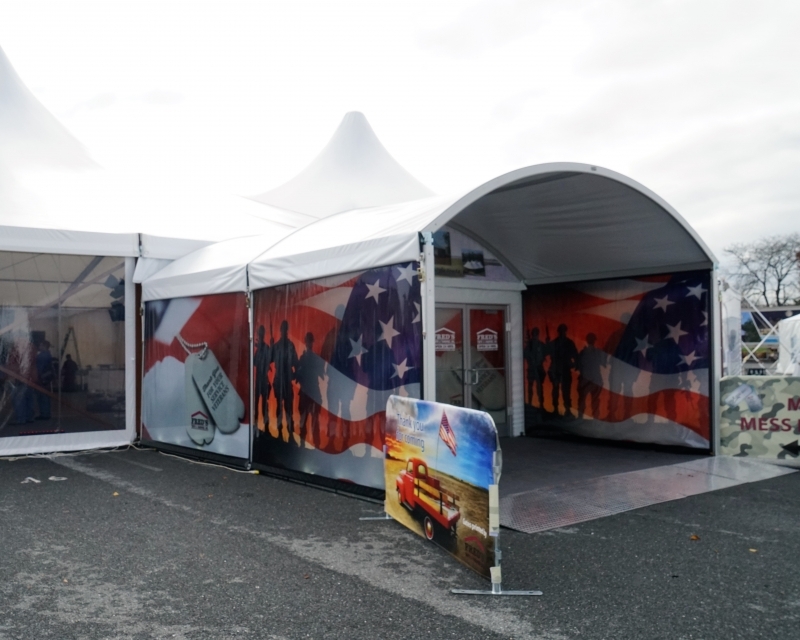 Made in the U.S.A, our frame tent options include 2” gable and hip frame tents, frame and cable tents, the maple leaf tent, lean-to tents, and H2K Kedered top tents. 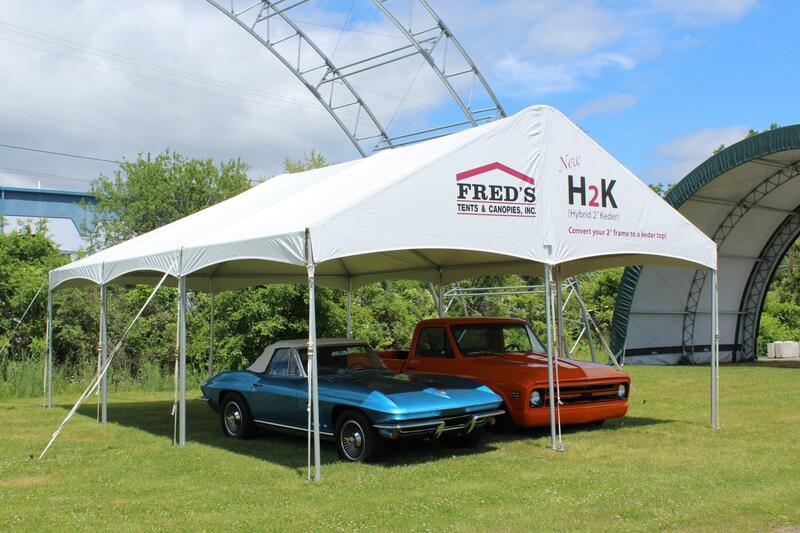 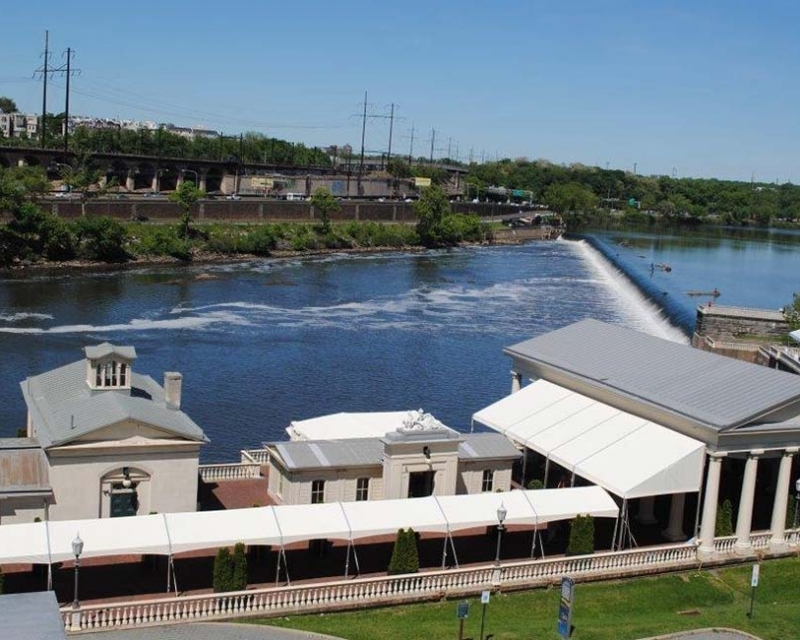 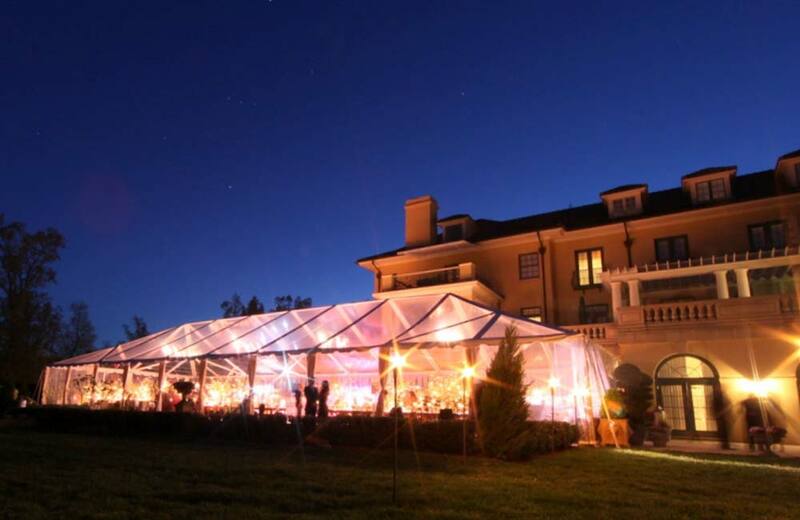 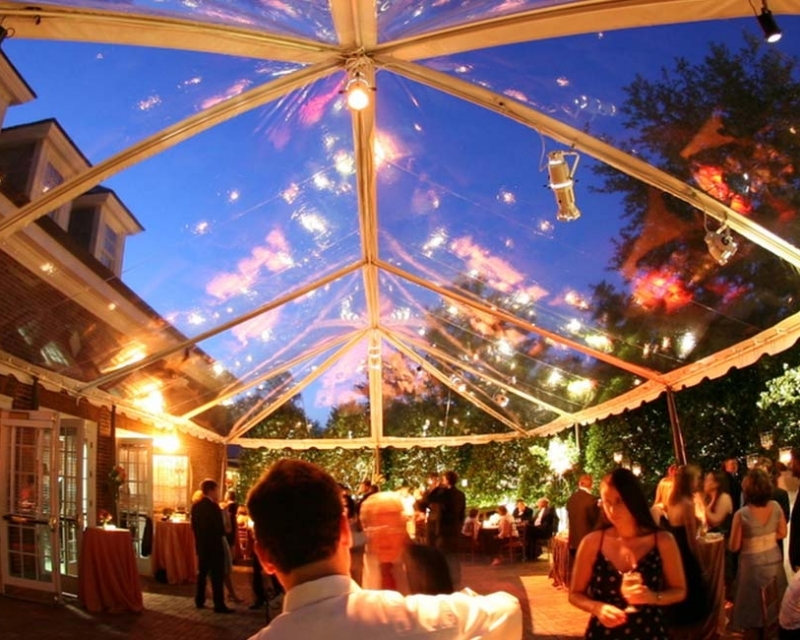 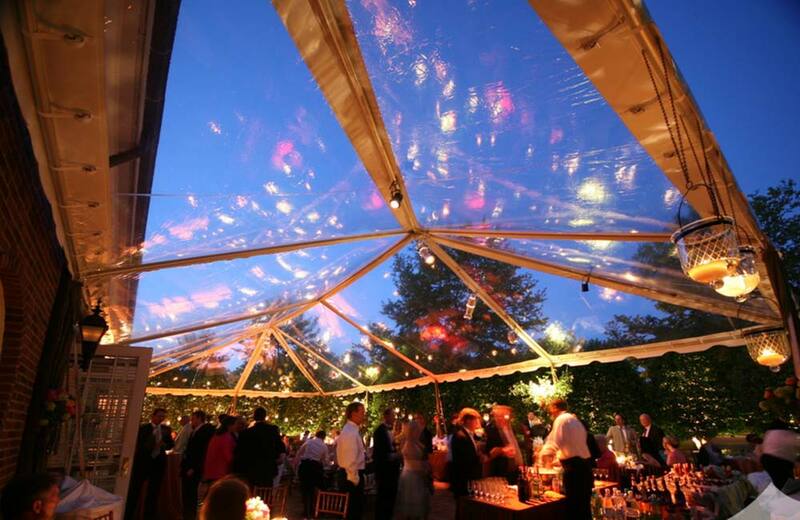 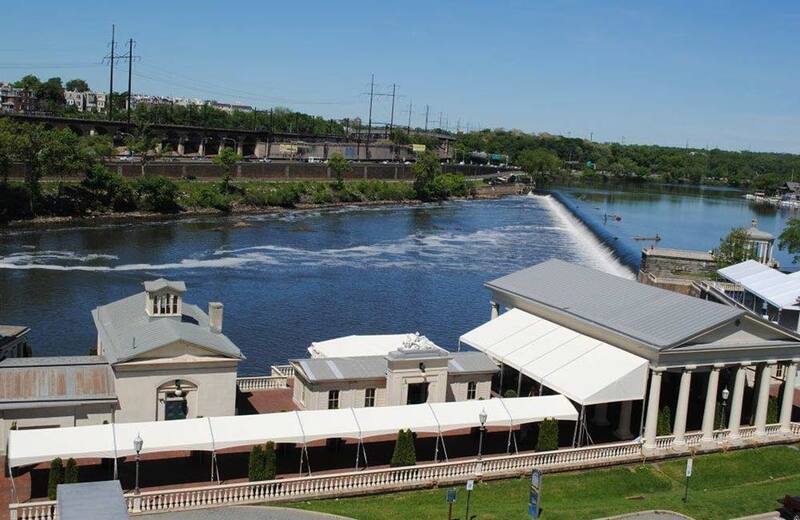 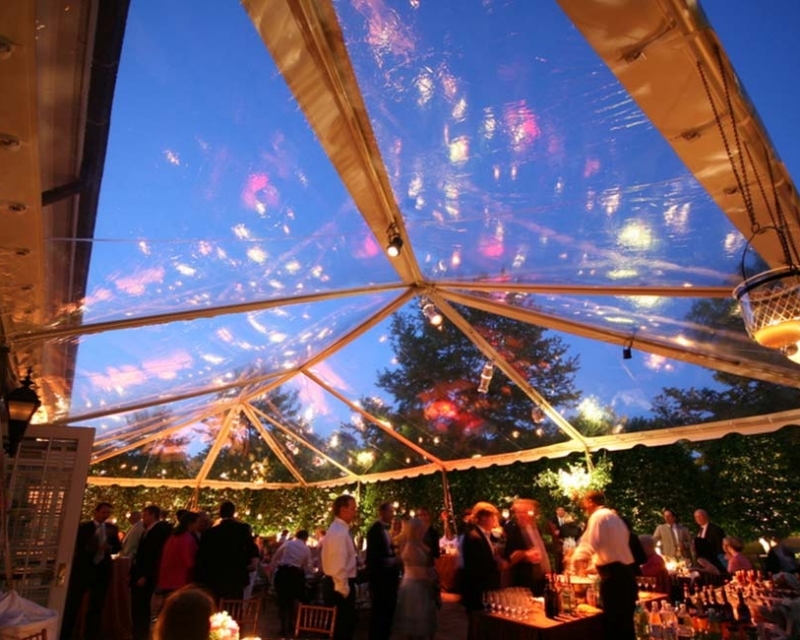 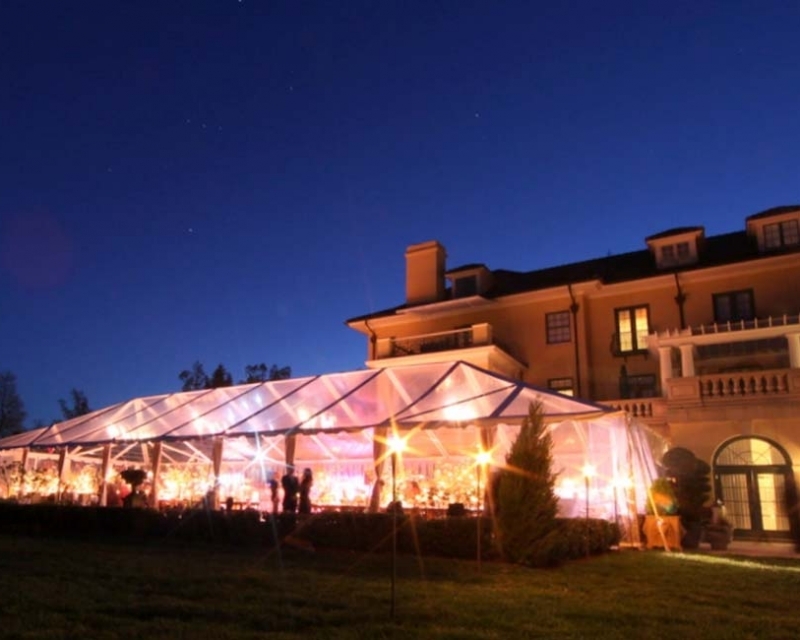 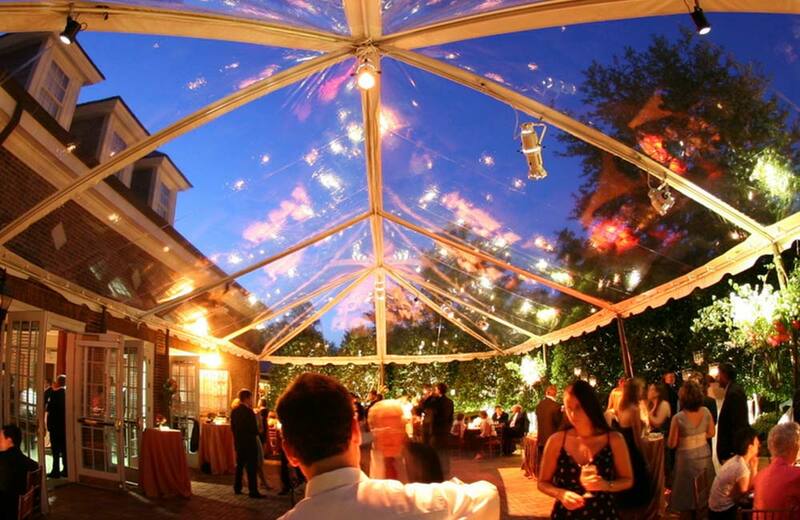 Fred’s Tents & Canopies is a leading frame tent supplier for event rental companies and businesses throughout the United States. 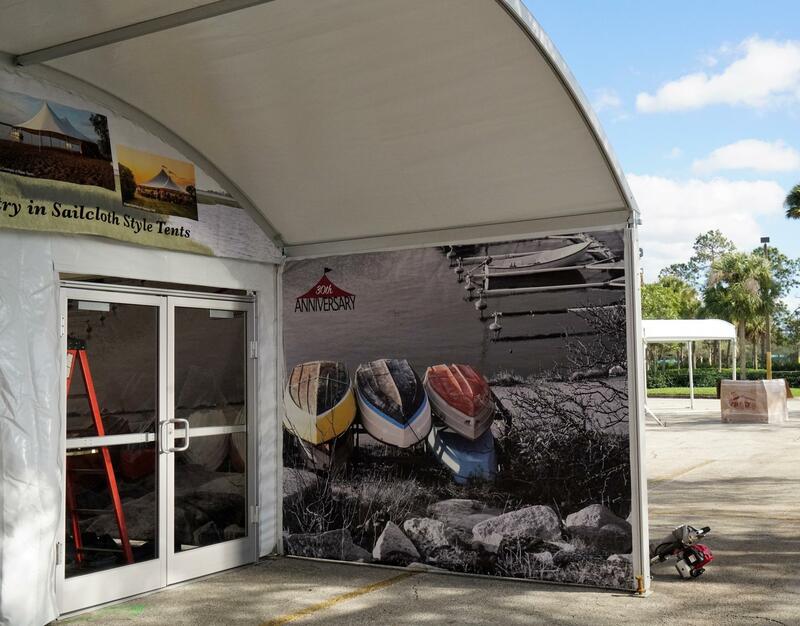 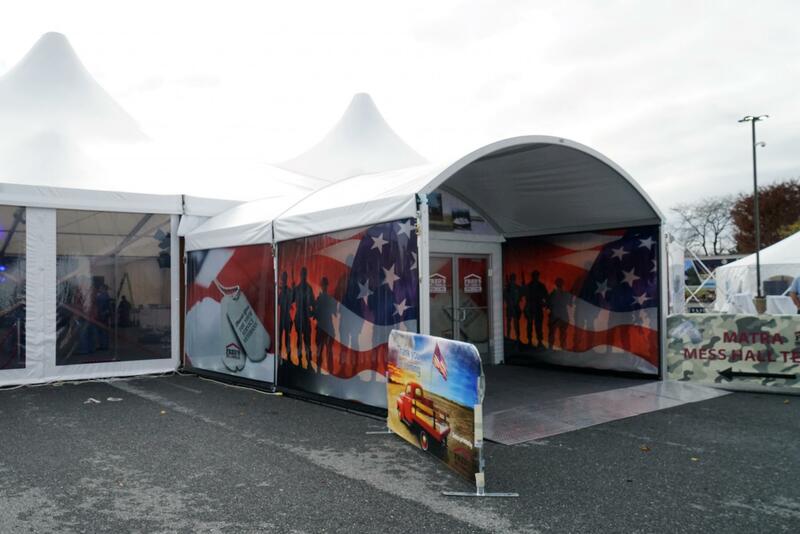 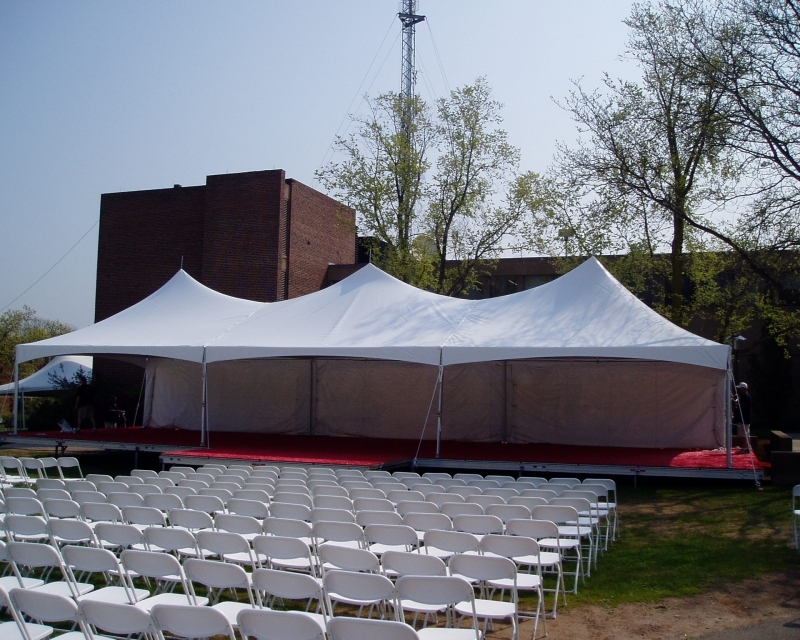 Our manufactured frame tents are made in the U.S.A. and require fewer poles than traditional tent styles to make a secure structure that allows for maximum usable space. 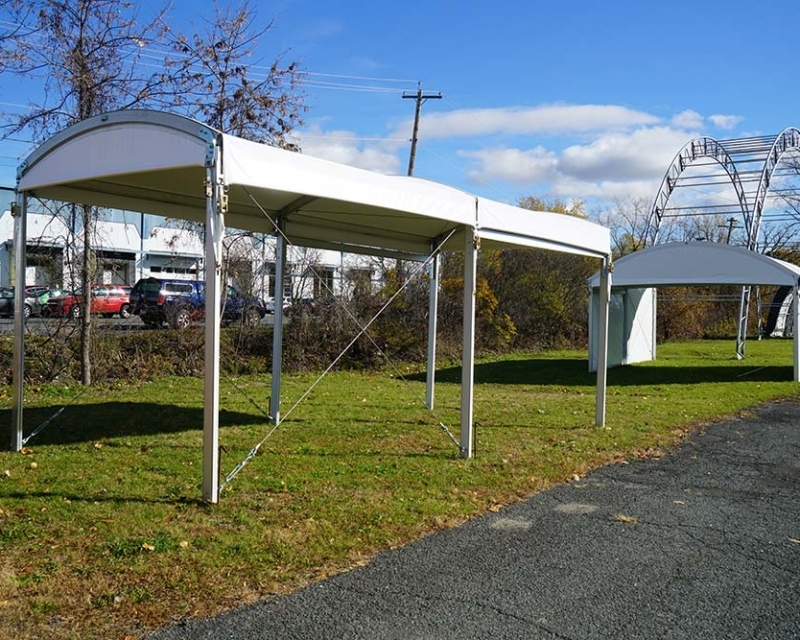 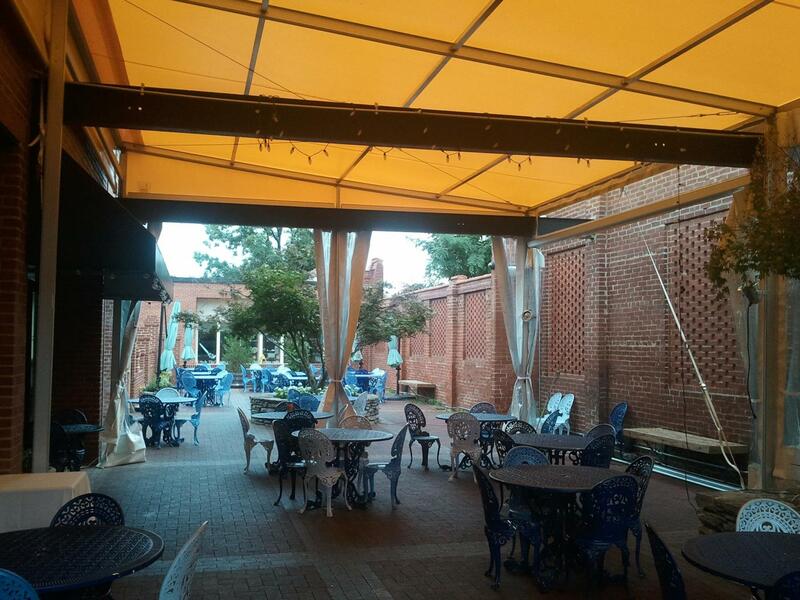 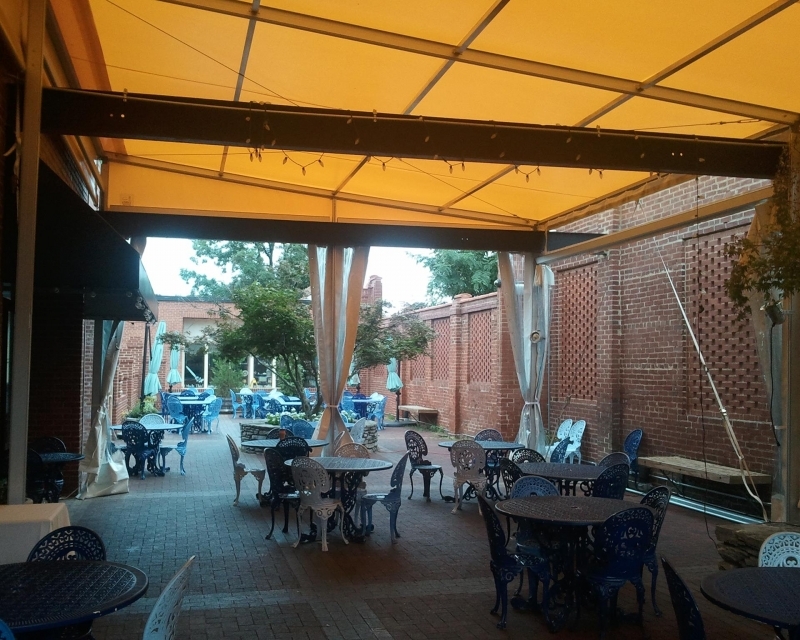 Commercial frame tents also don’t rely on staking, which makes them the ideal tent choice for setting up on pavement, decks, concrete, and other hard surfaces. 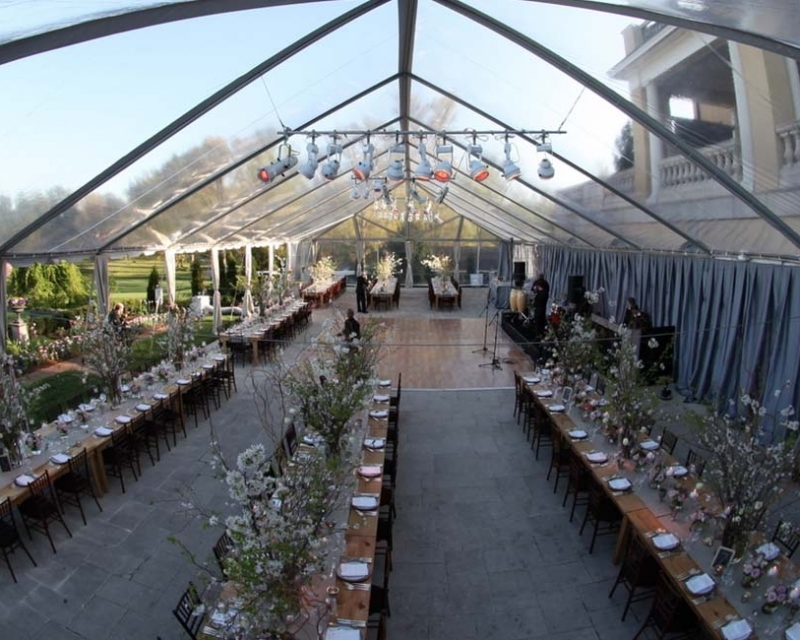 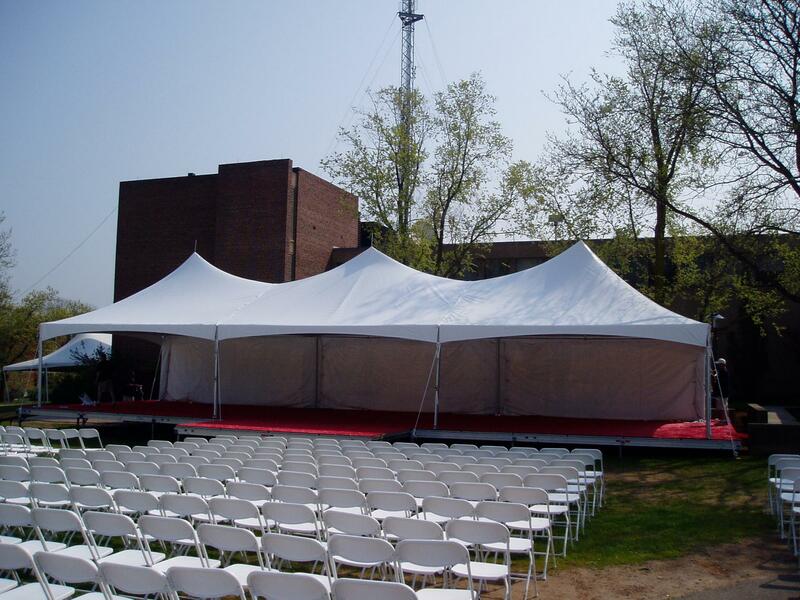 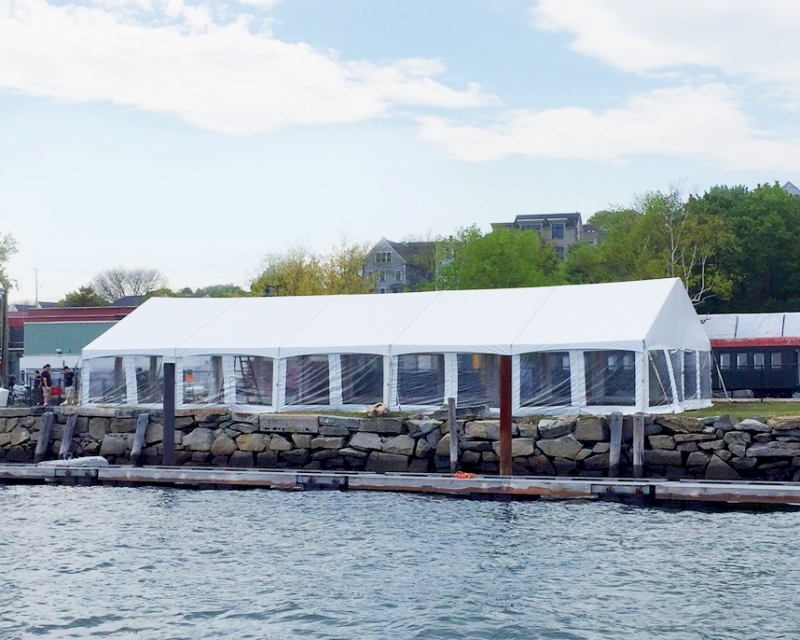 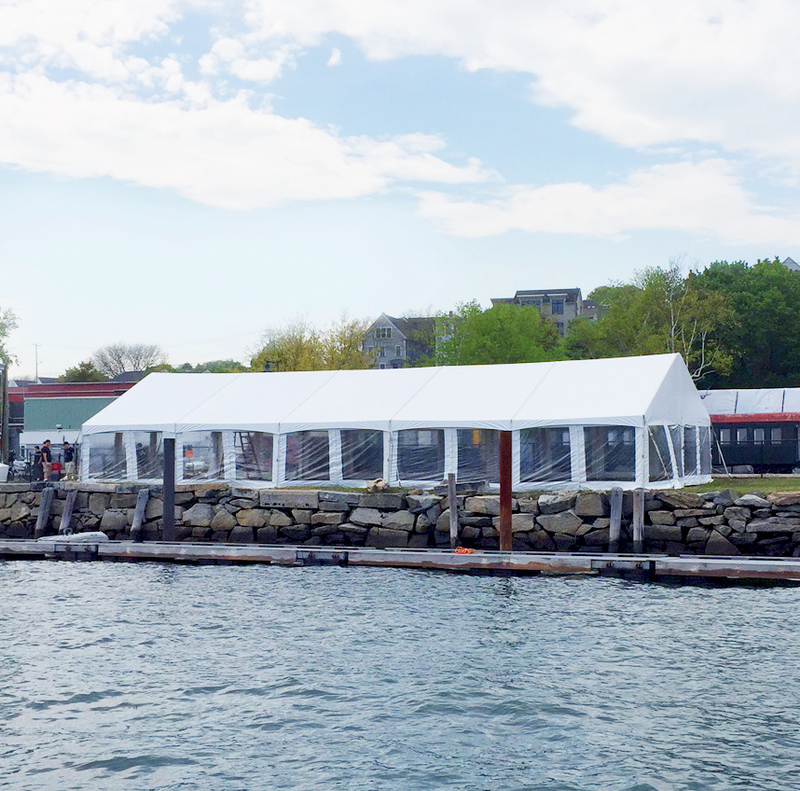 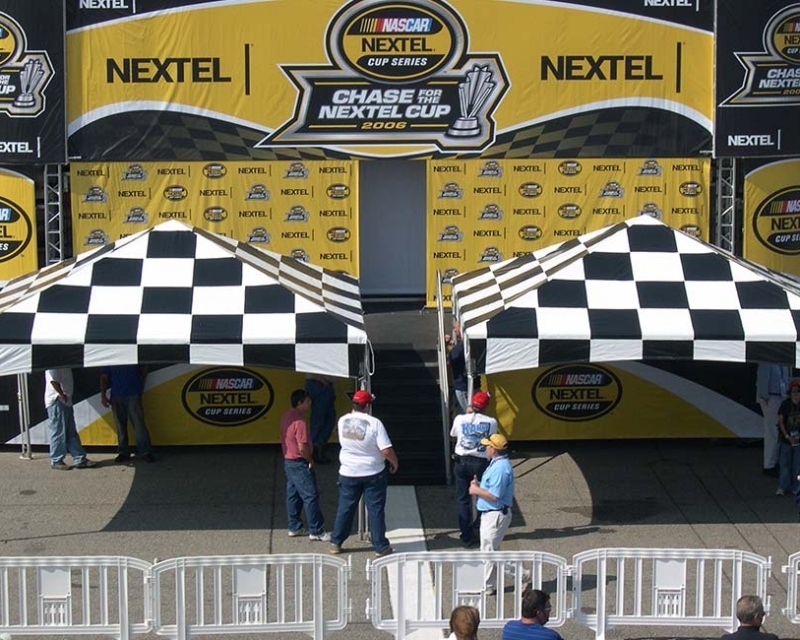 We carry a large selection of easy to install commercial frame tents to accommodate the variety in space and event styles that rental companies often face. 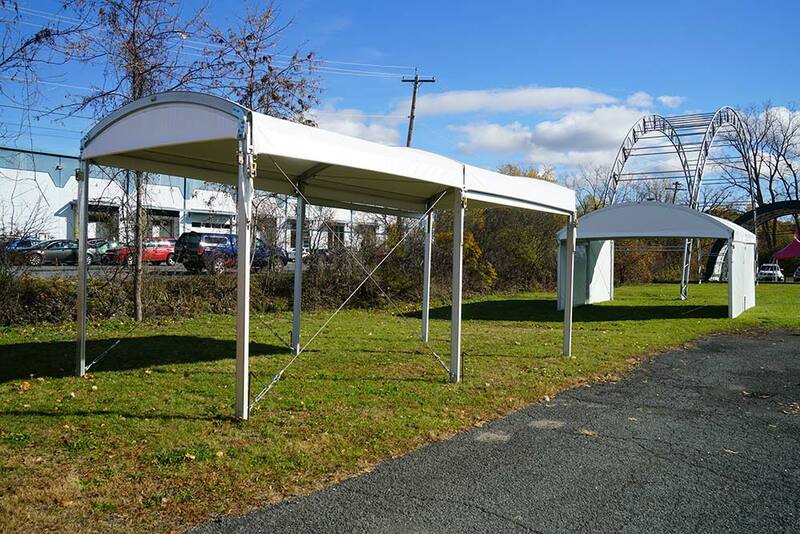 Browse our frame tent options below, and contact us with any questions or to place an order. 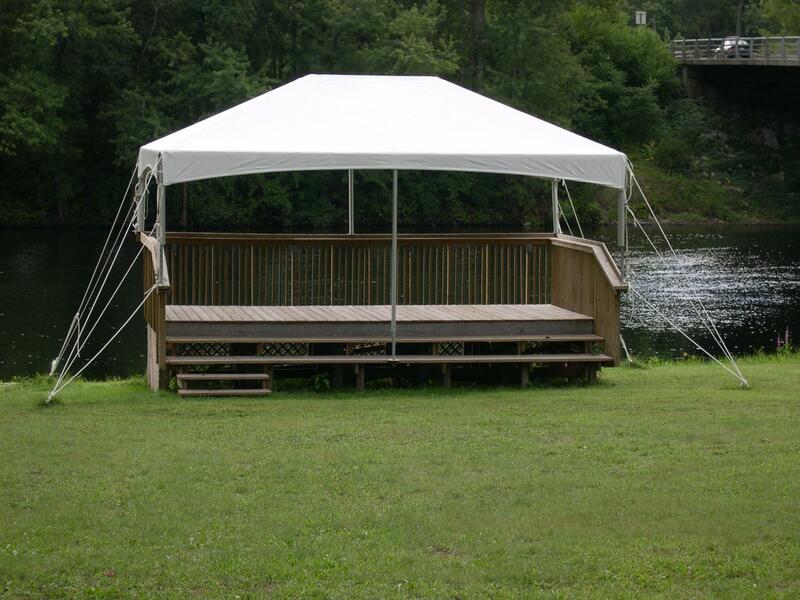 Unit price includes 2″ aluminum frame with 4 mil clear anodizing, steel fittings, footpads, ropes and stakes, 8′ leg height and 16oz blockout vinyl top. 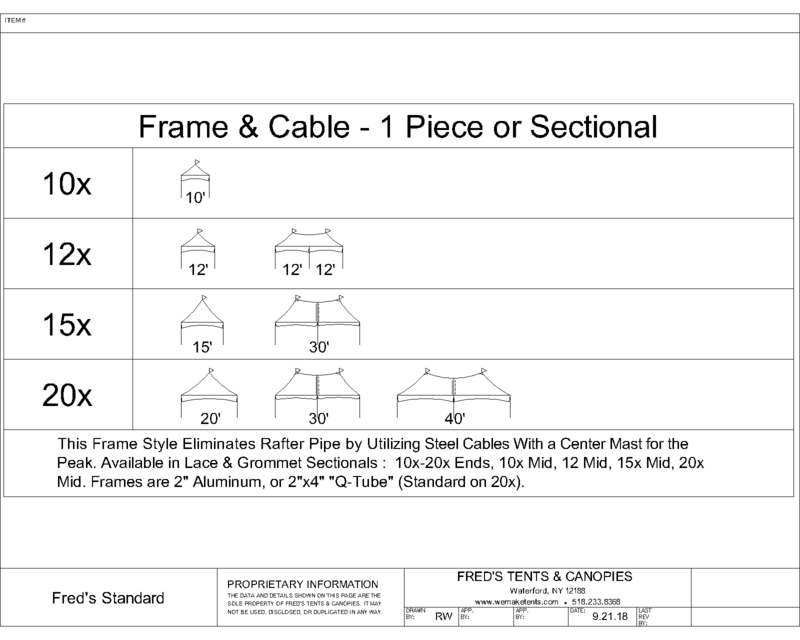 For 30′ and above 18oz white blockout is standard. 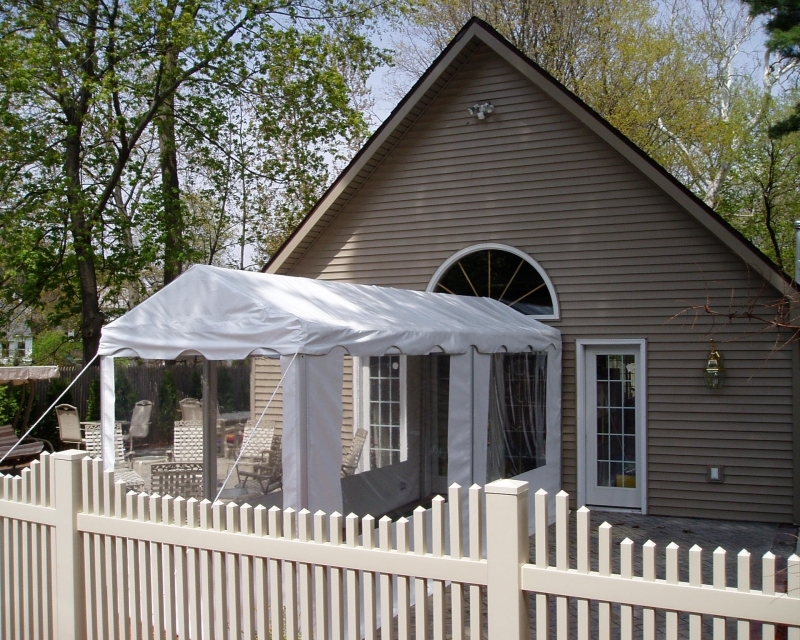 You have a choice of either a scalloped valance (standard) or a straight balance (upon request). 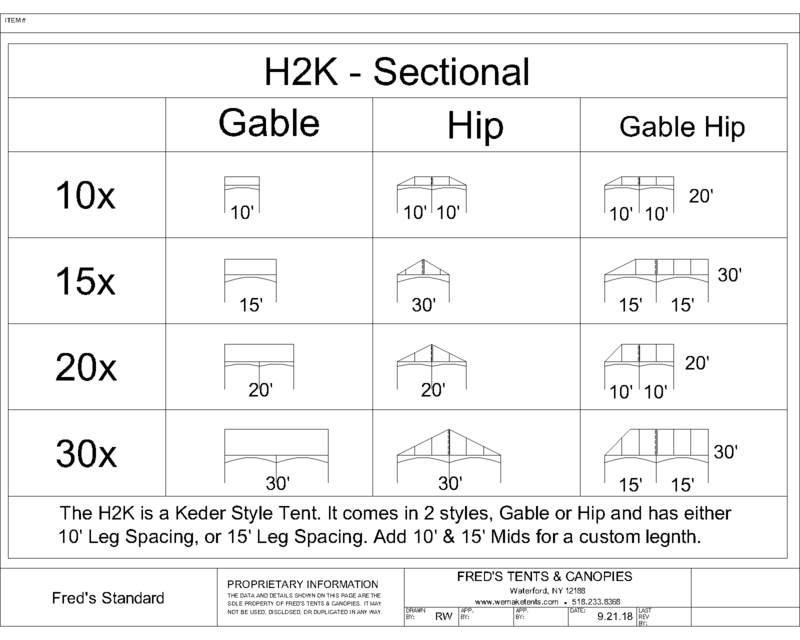 The H2K (Hybrid 2” Keder) is our Keder style tent. 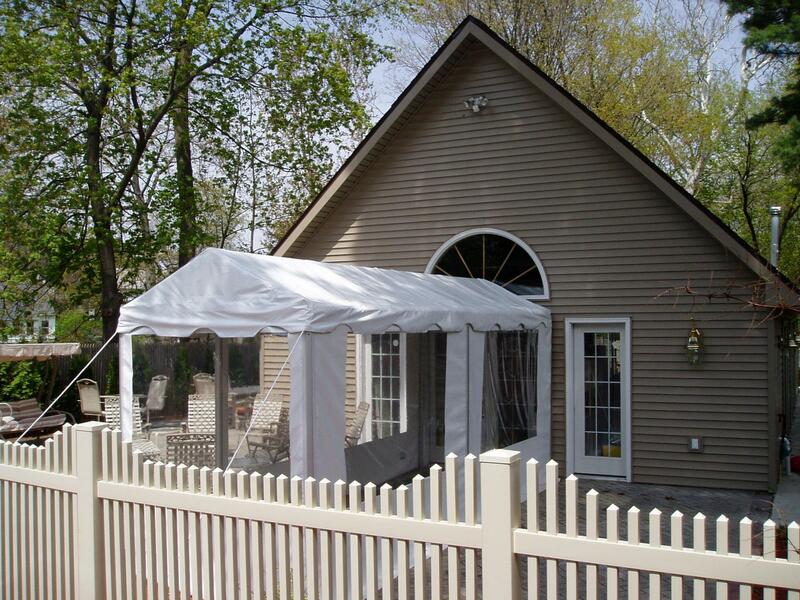 This lace free top offers a quicker, easier install. 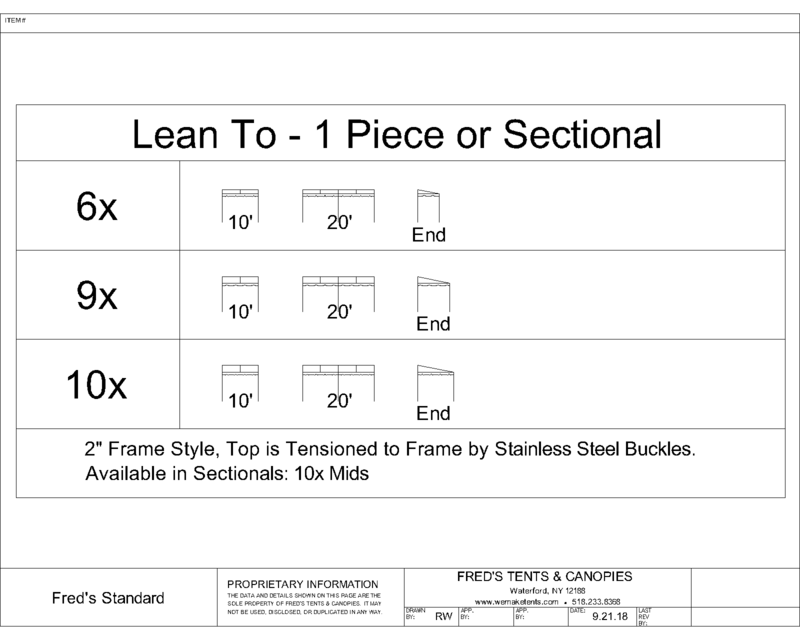 Adapt your 2” Center Peak frame to a keder frame with the components available below. Unit price includes 2” aluminum frame with 4 mil clear anodizing, steel fittings, footpads, ropes and stakes, 8’ leg height and blockout vinyl top. 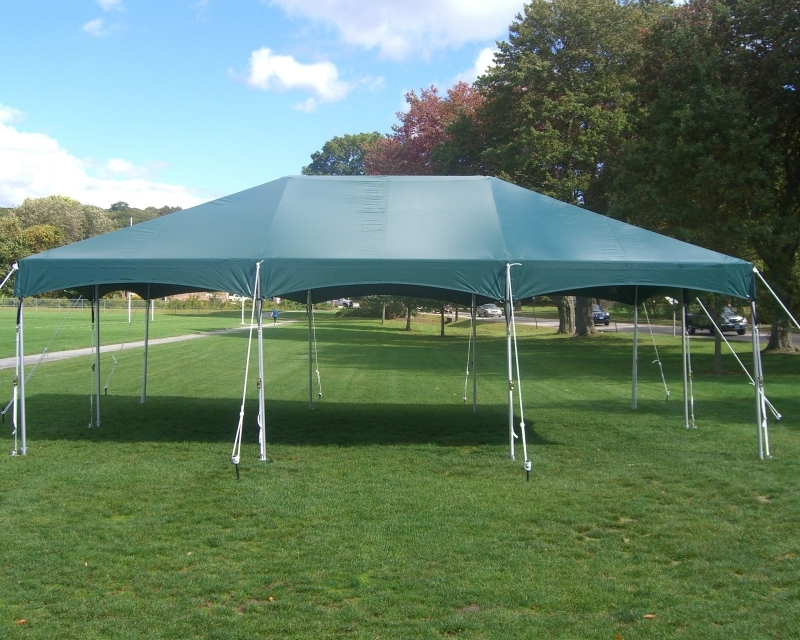 For 30′ and above 18 oz. 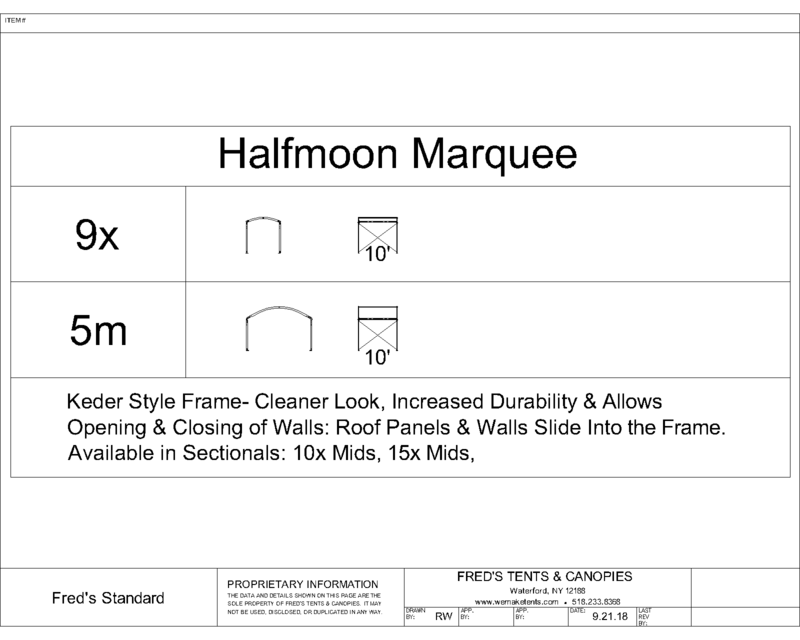 white blockout is standard. 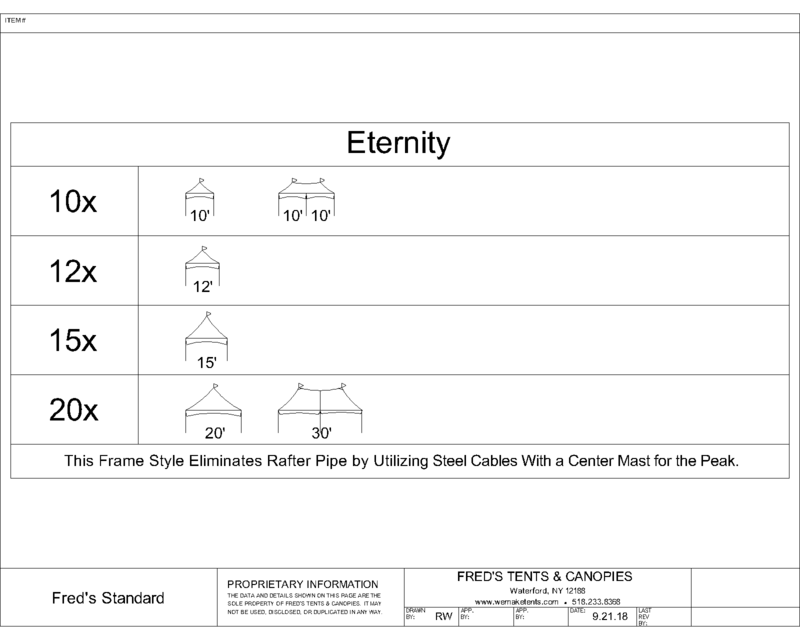 Anything smaller than 30x is 16 oz. 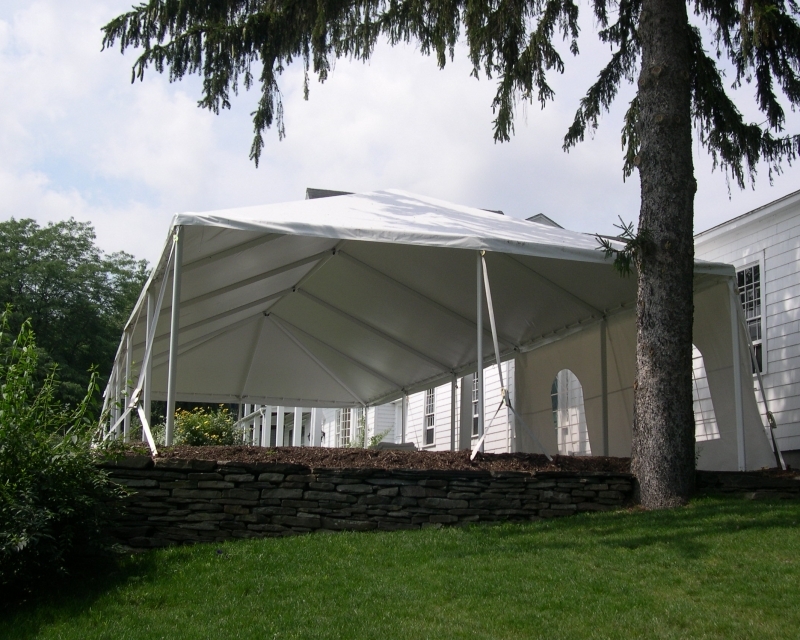 white blockout. 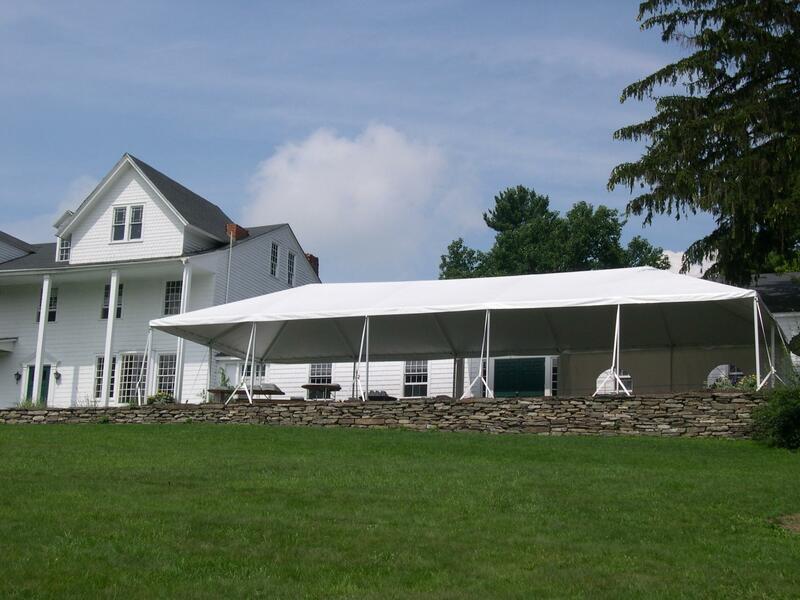 Tent tops utilize all stainless steel hardware, 1” webbing and ratchets to secure top. 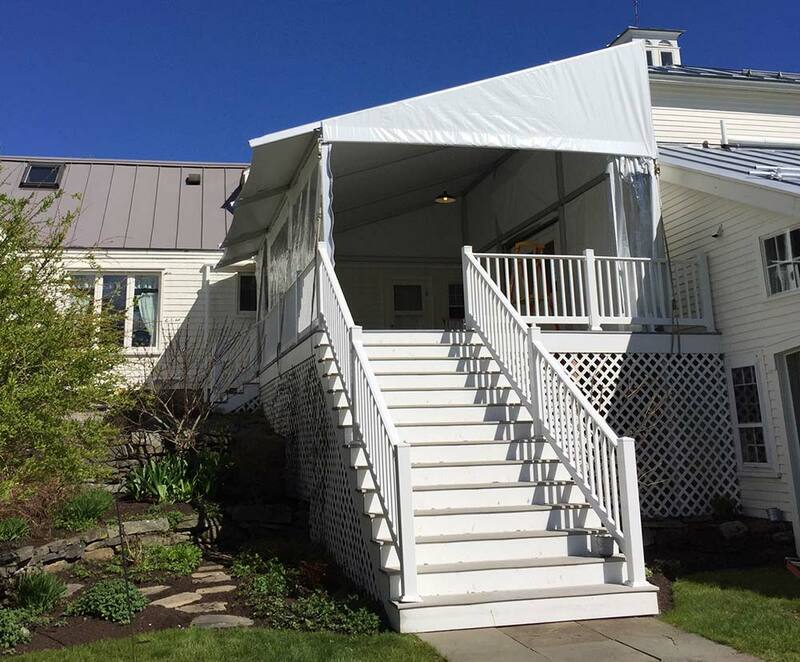 Units available with double valance, add $5.00 per linear foot. 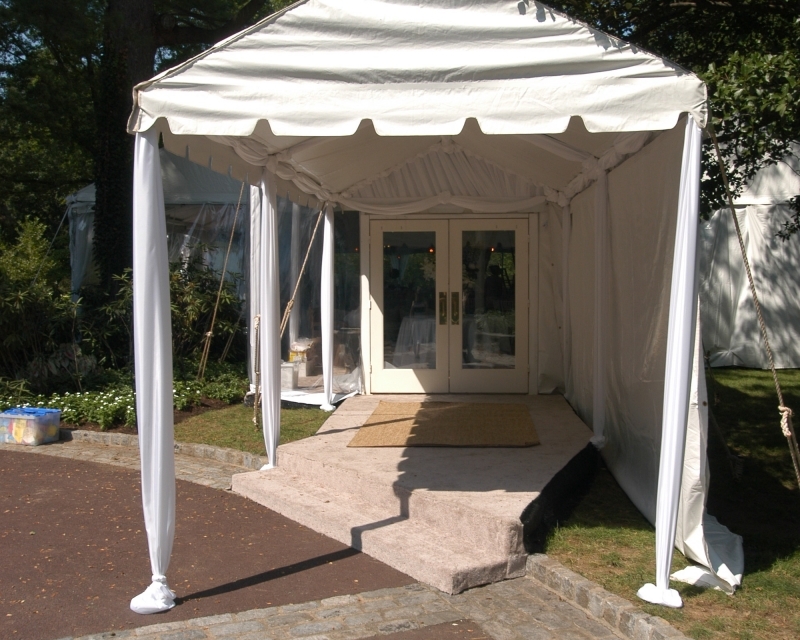 Marquee Tents make the perfect pathway from tent to tent, keeping you and your party protected from rain and sun. 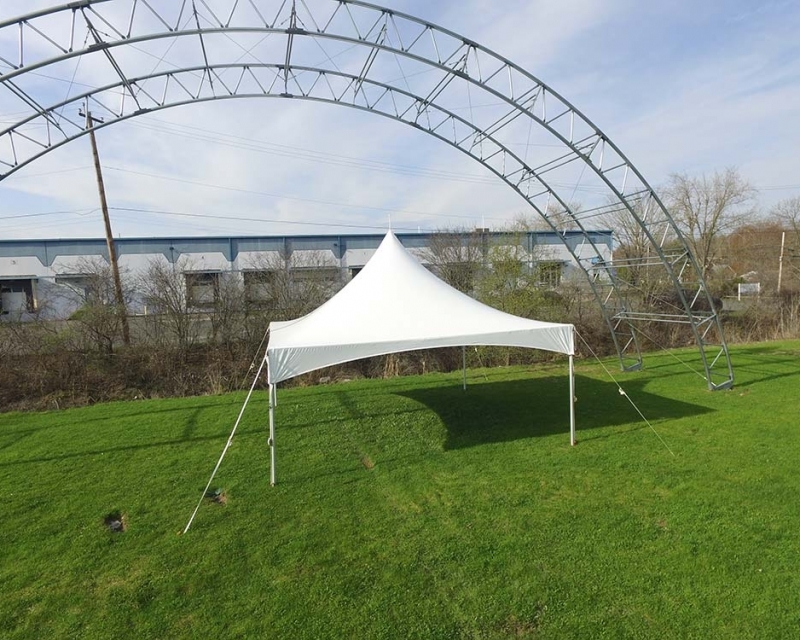 Unit price includes 2” aluminum frame with 4 mil clear anodizing, steel fittings, footpads, ropes and stakes, 8’ leg height and 16 oz. 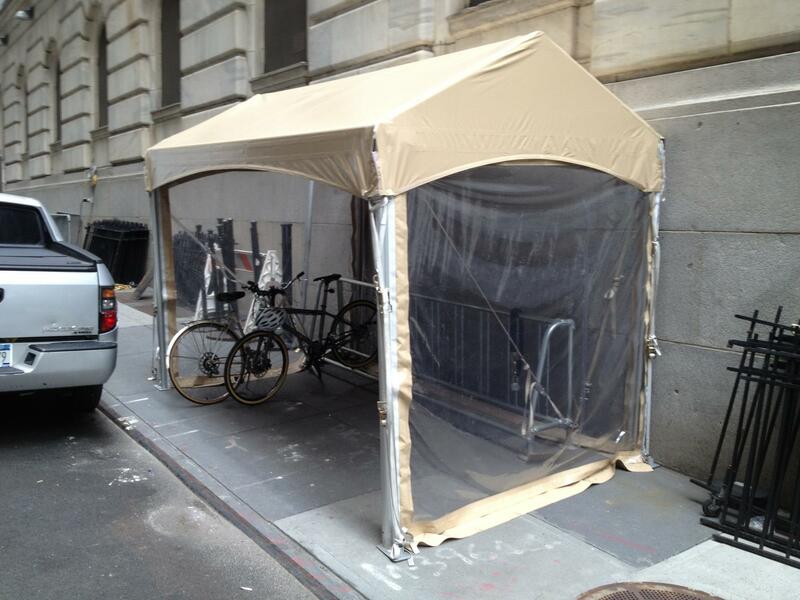 white block out. 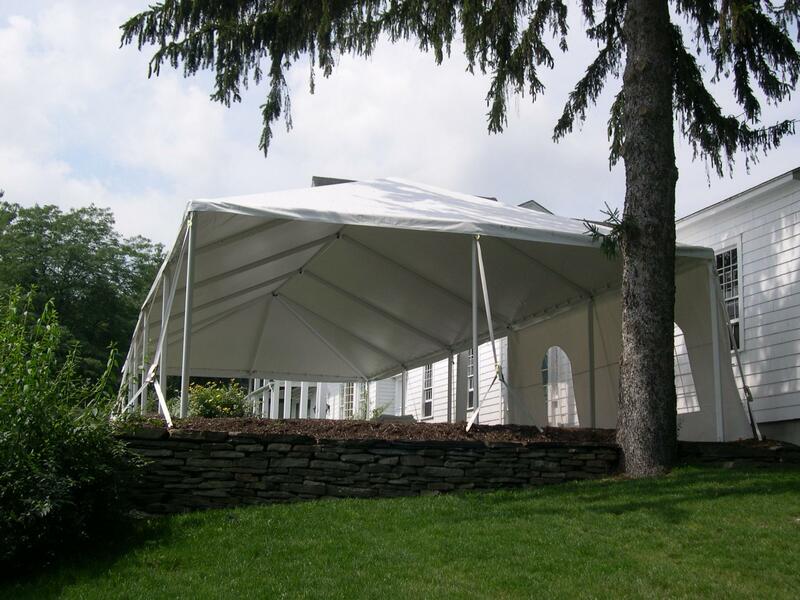 Tent tops utilize all stainless steel hardware. 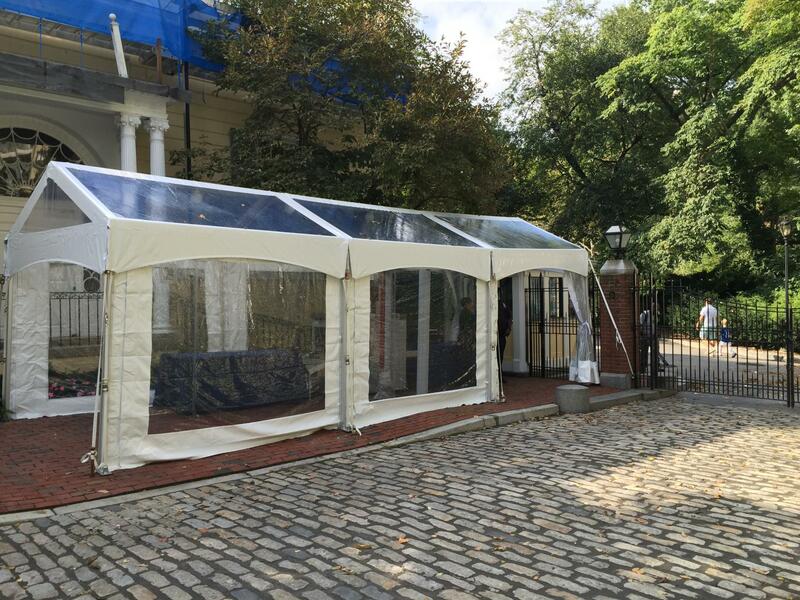 Our Gable Tents have a spacious interior and are easy to install. 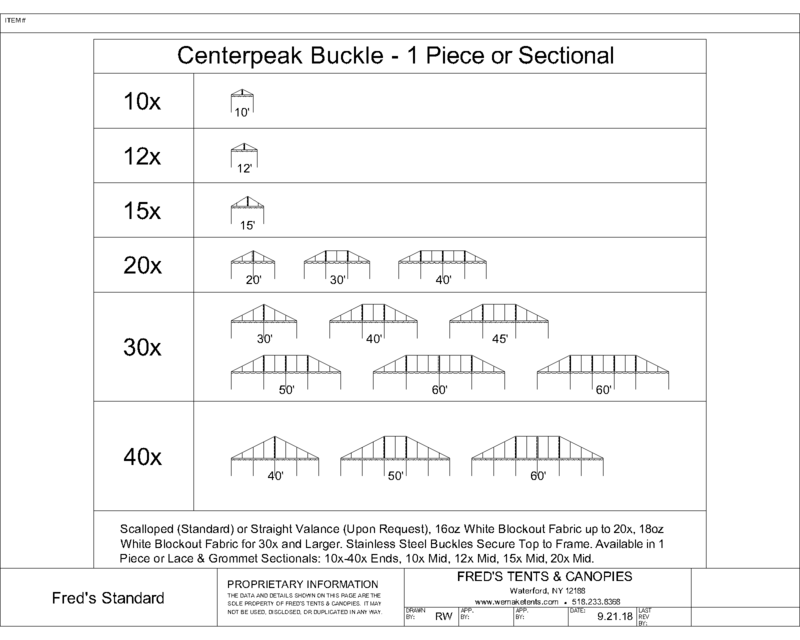 Available in Buckle Style (below) or call for Cinch Top pricing. 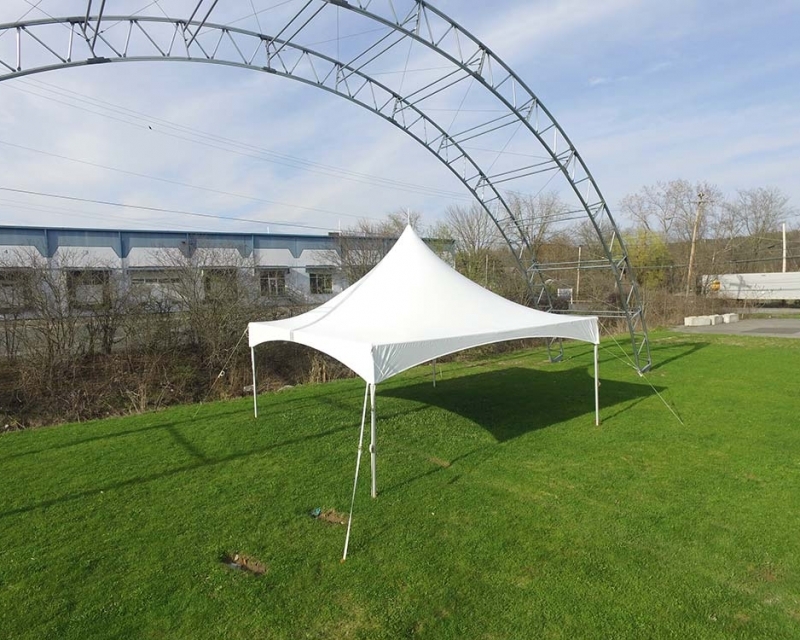 Unit price includes 2” aluminum frame with 4 mil clear anodizing, steel fittings, footpads, ropes and stakes, 8’ leg height and 16 oz. 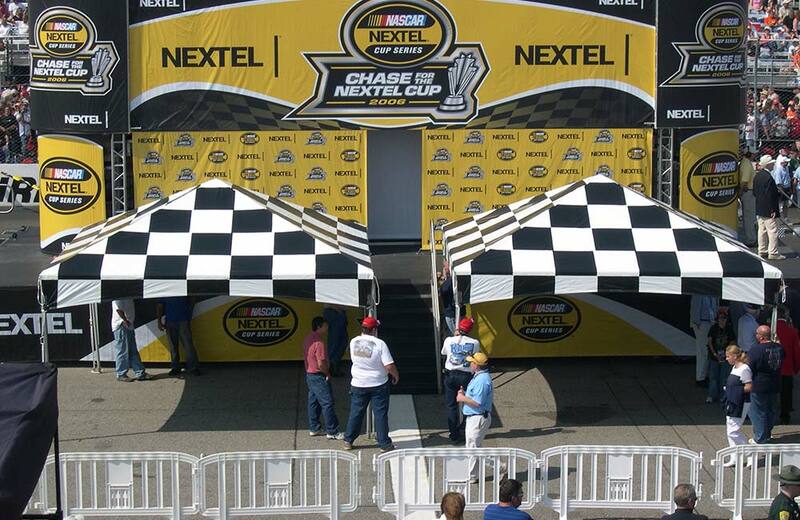 white block out. For 30′ and above 18 oz. 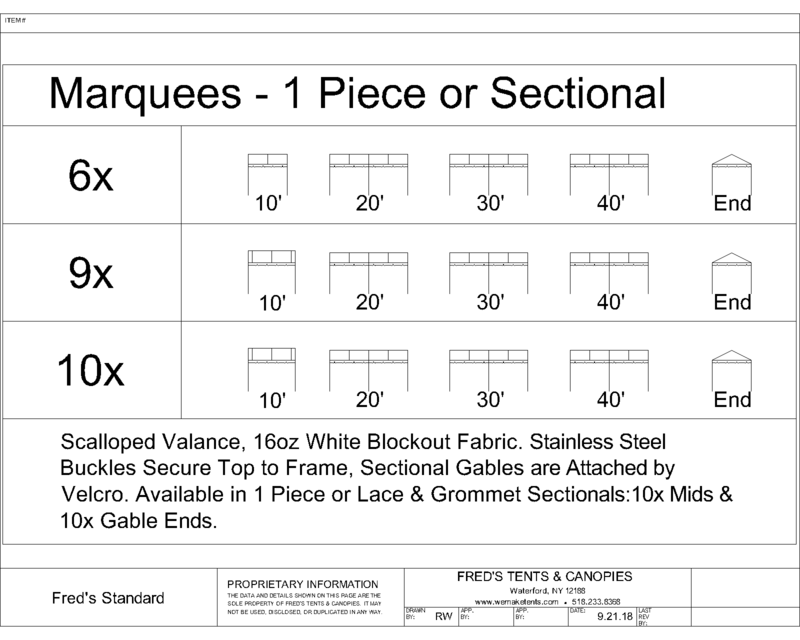 white blockout is standard. 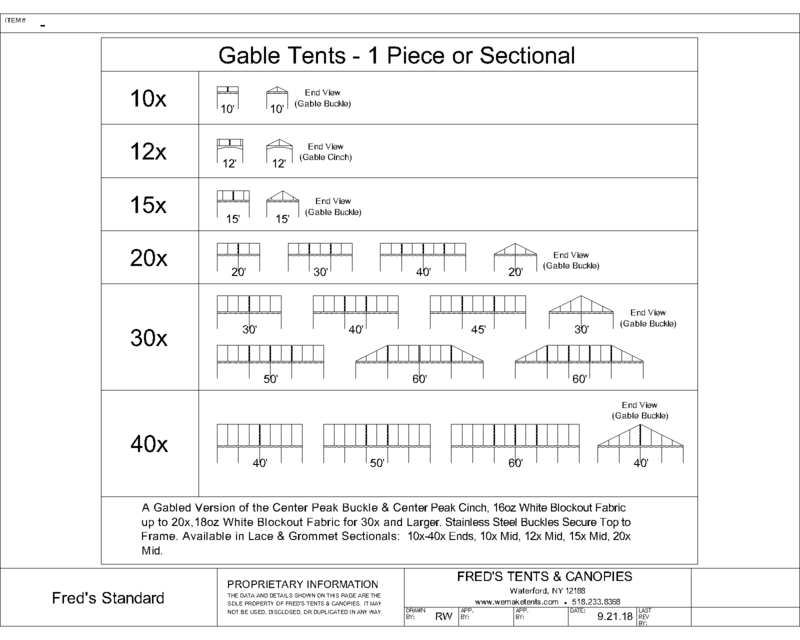 Anything smaller than 30x is 16 oz. 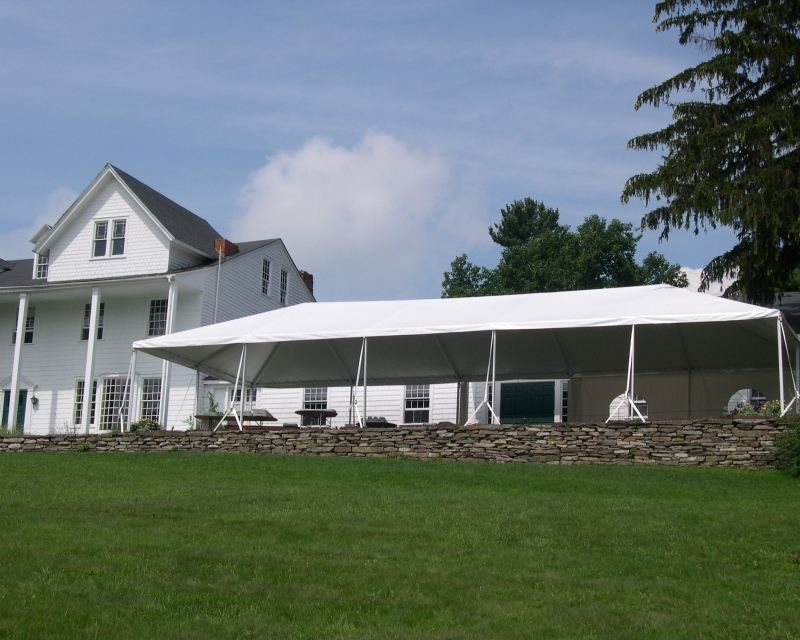 white blockout. 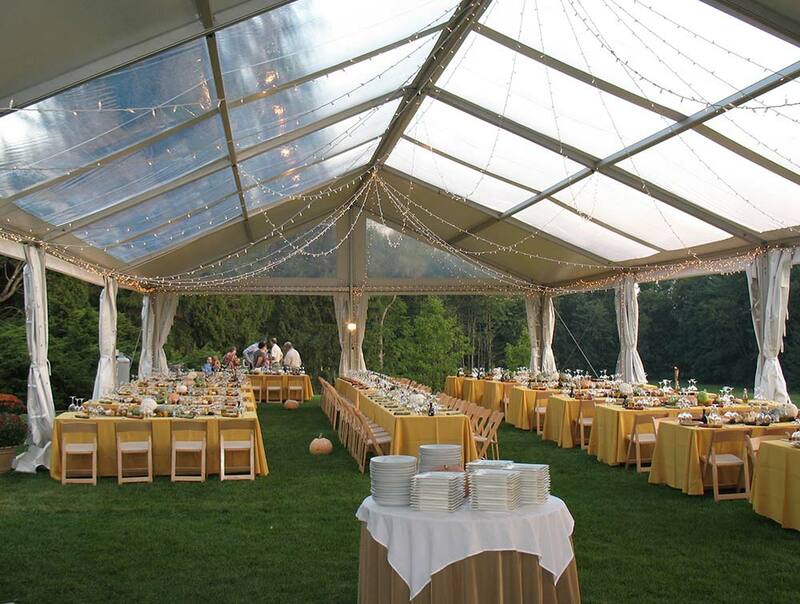 Tent tops utilize all stainless steel hardware. 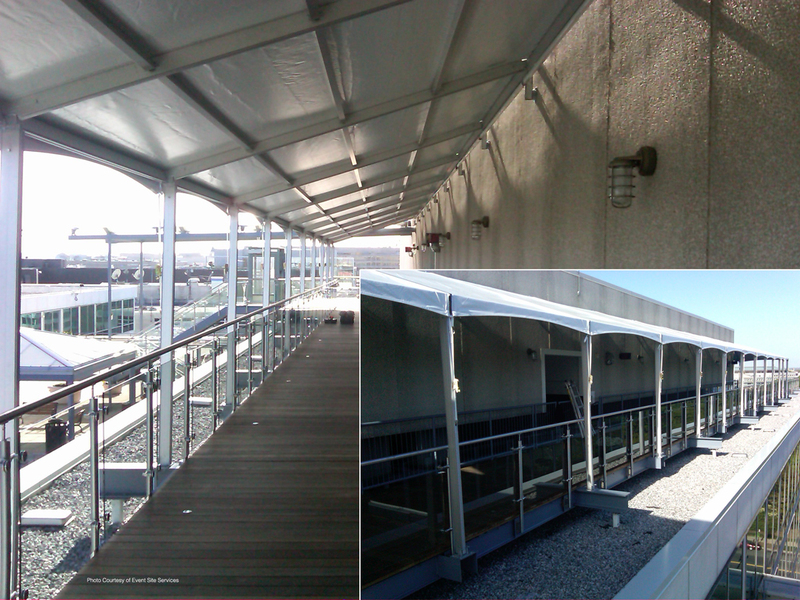 This frame style elimnates rafter pipe by using steel cables with a center mast for peak. Unit price includes steel fittings, either 2” aluminum or 2”x 4” Q tube aluminum with 4 mil clear anodizing, cables, footpads, ropes, stakes and blockout fabric. 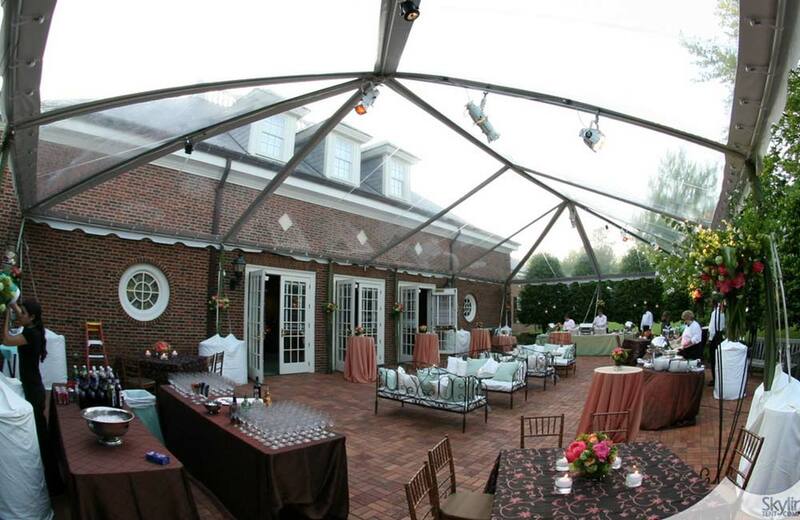 Made with our exclusive Q-Tube extrusion, this frame style allows you to use our traditional top or any other frame tops, along with the ability to span 20’ between uprights. 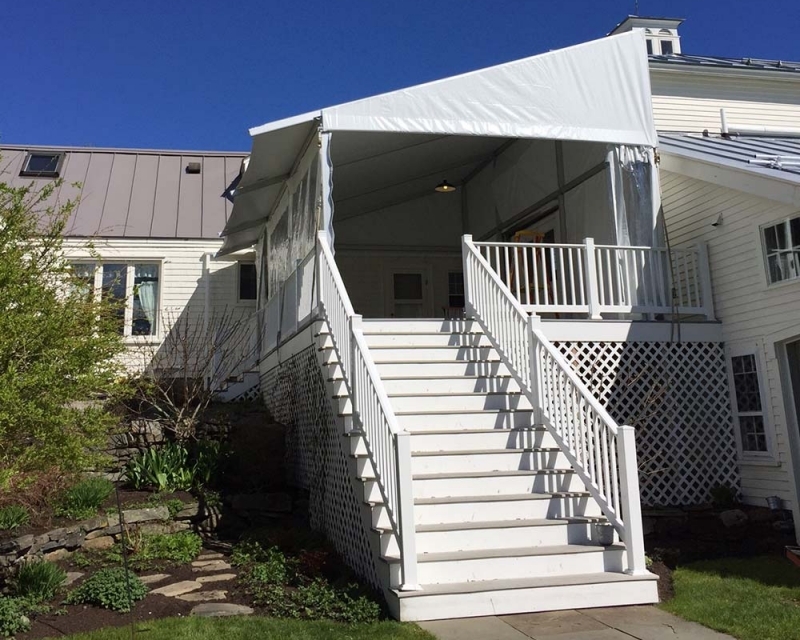 The Maple Leaf 2.5” Aluminum Frame and Cable Tent is constructed of 2.5” anodized aluminum with fewer parts than a traditional frame tent, therefore installation is much faster. 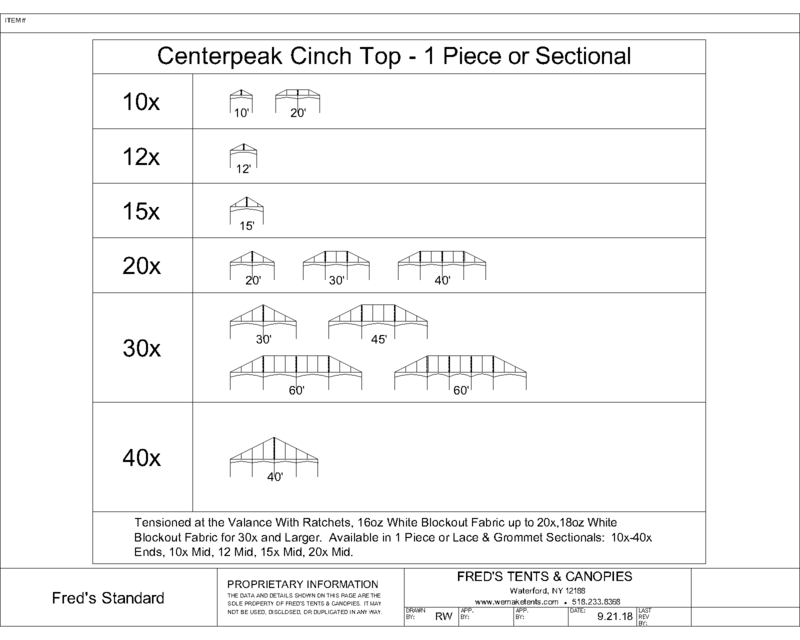 Designed with interchangeable parts to keep your inventory to a minimum. 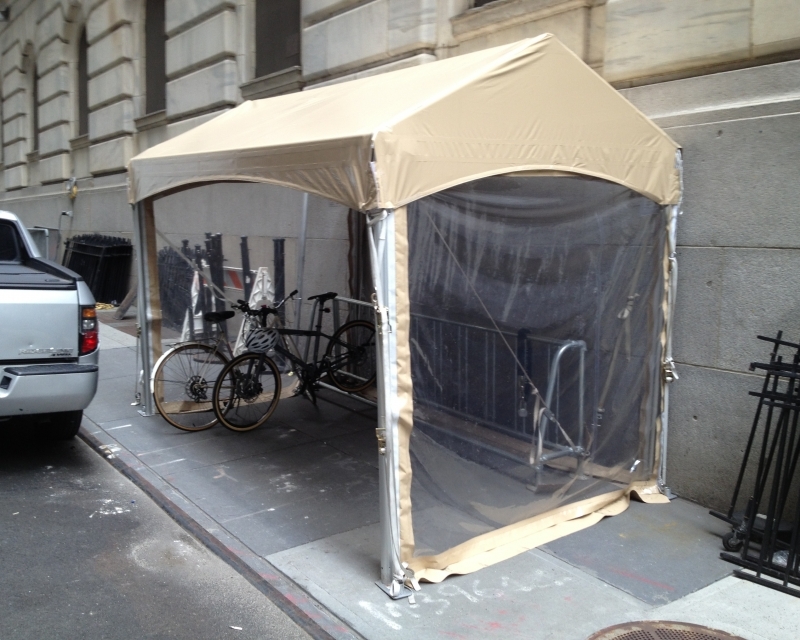 Using the spreader splice, a 20’x20’ can be transported in a standard pickup truck. 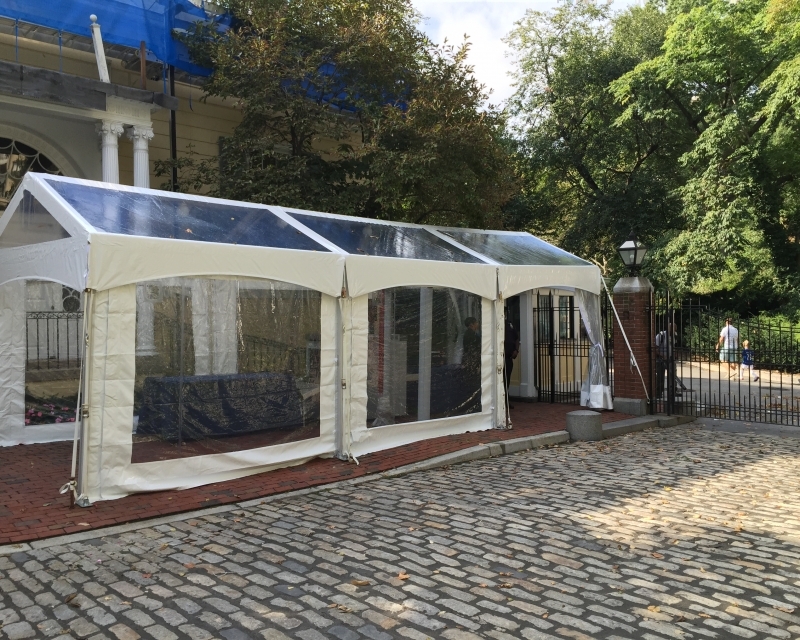 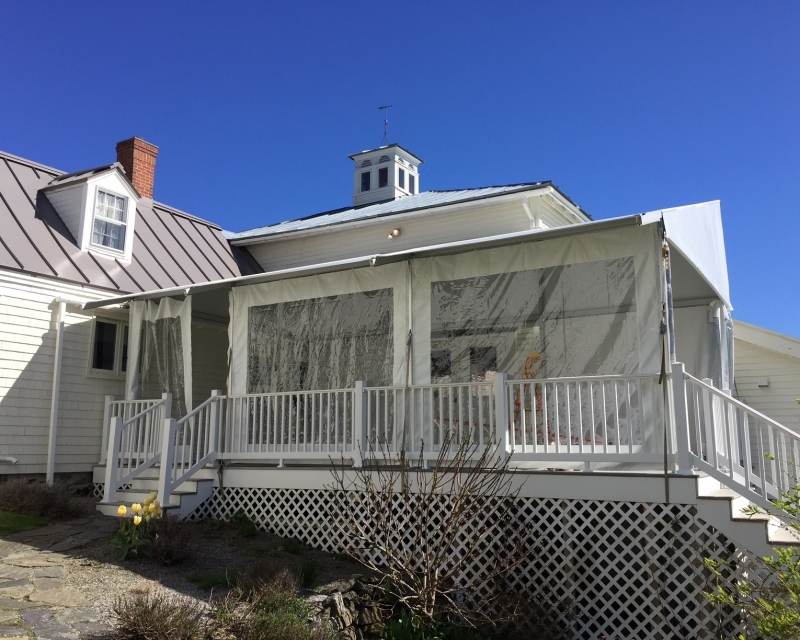 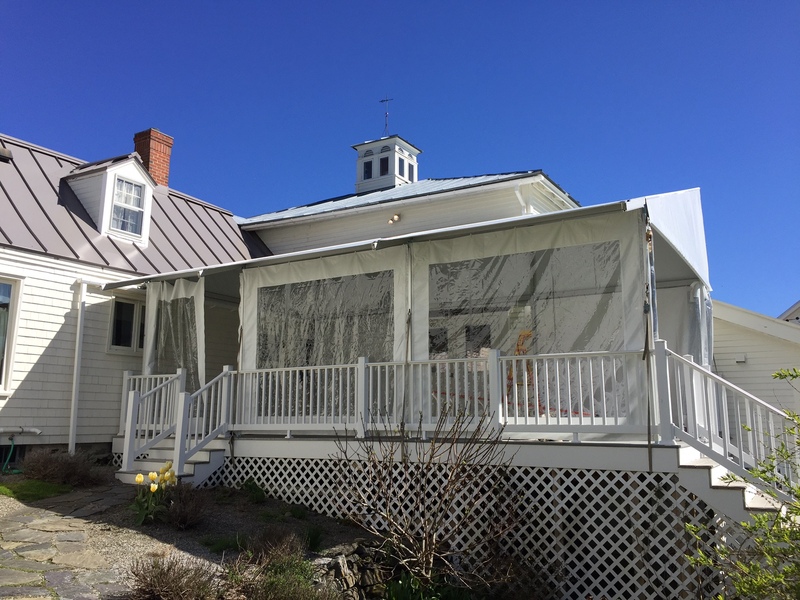 This 2” frame style allows your tent to be installed next to buildings, creating an elegant porch area. 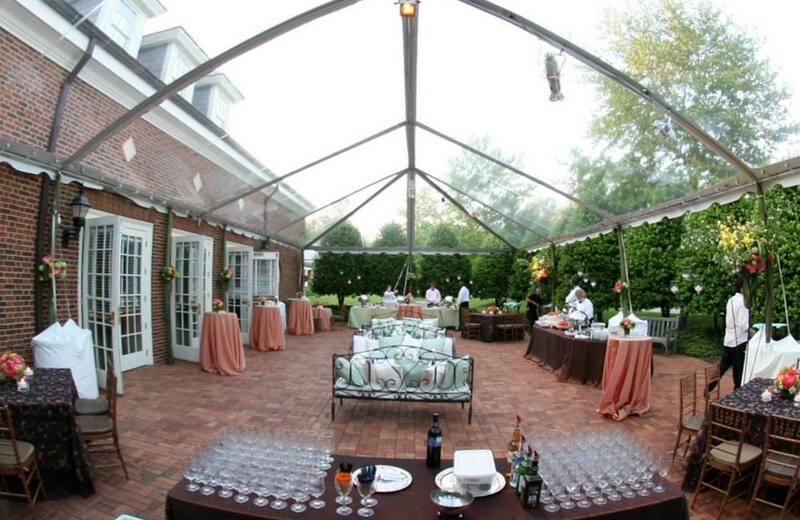 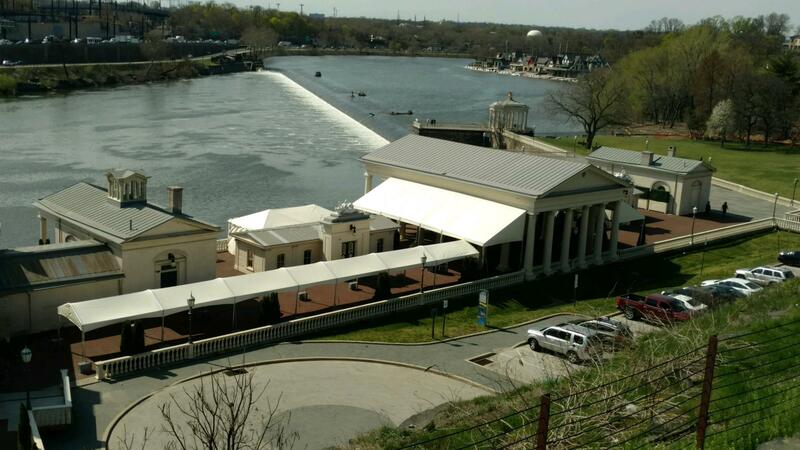 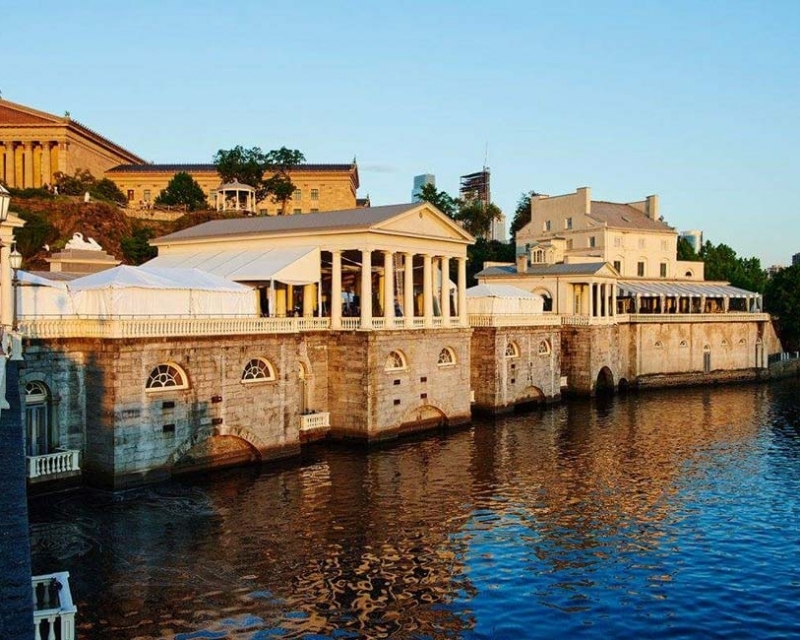 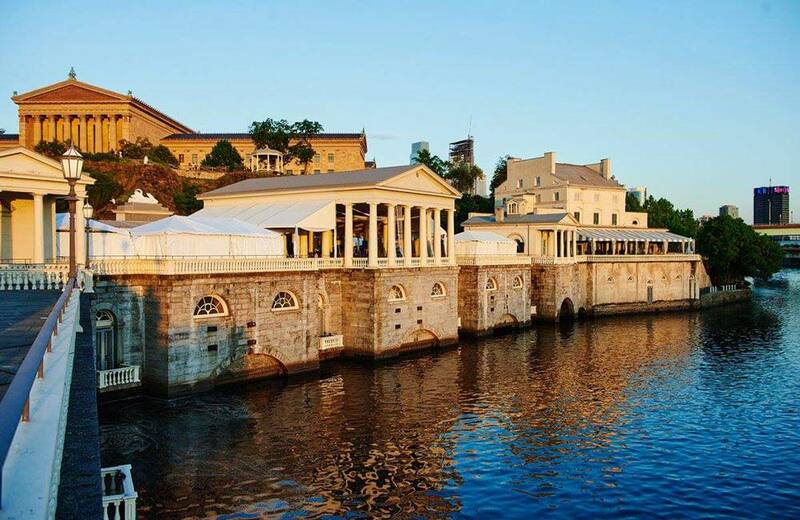 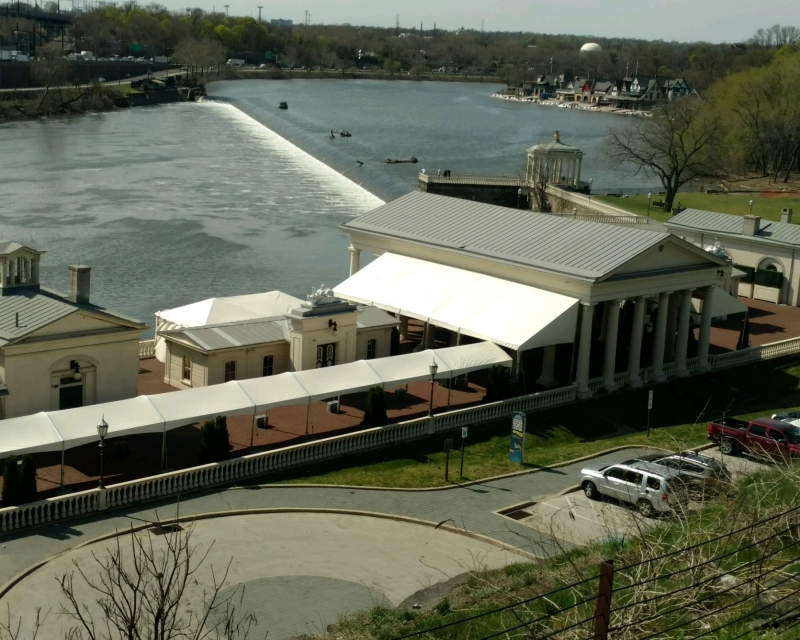 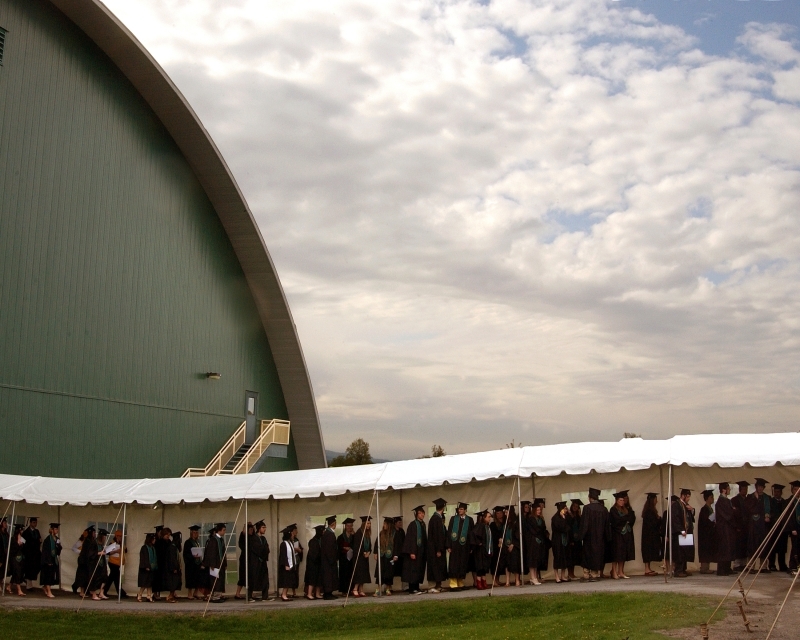 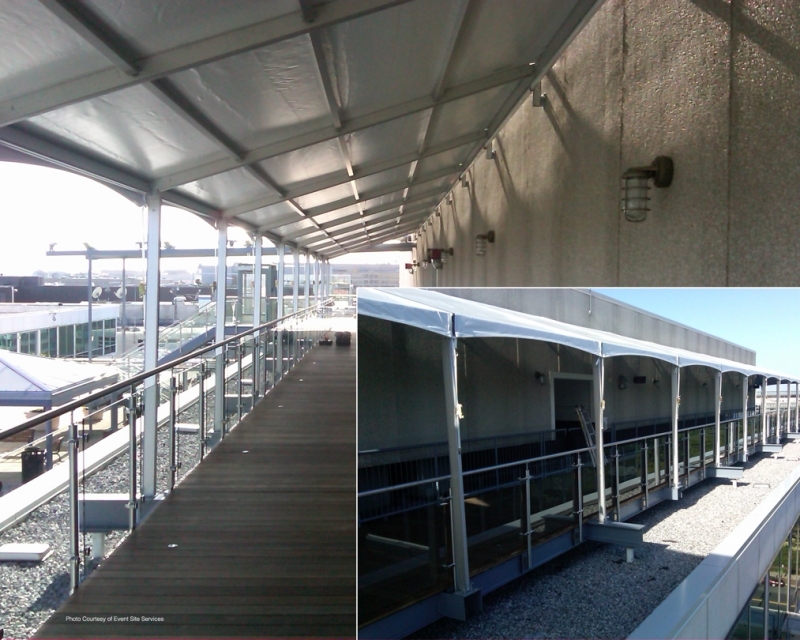 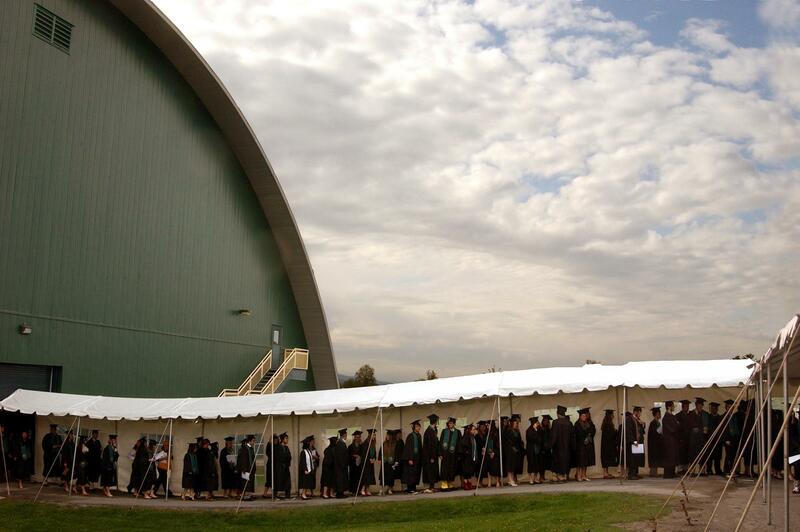 Complete your long-term outdoor venue with our Lean-To. 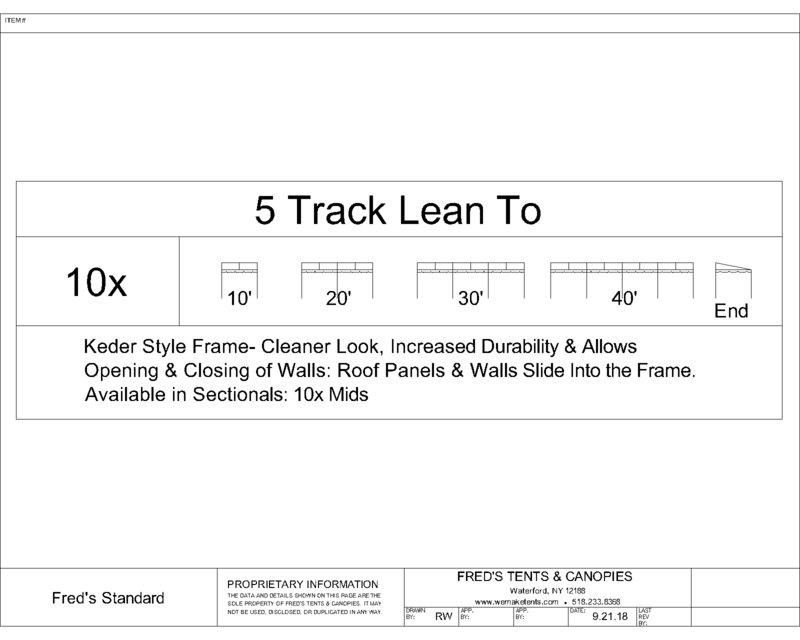 The inherent strength of the Lean-To comes from the 5 Track Keder Frame. 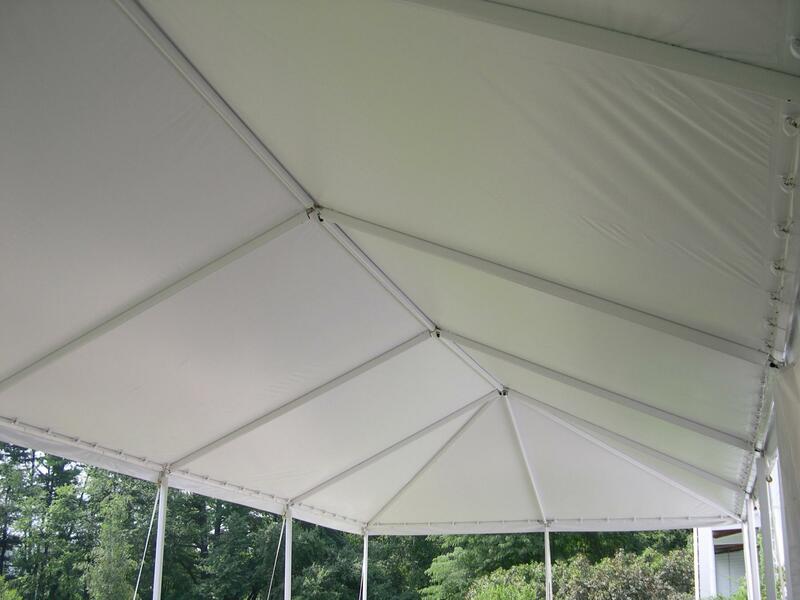 This offers not only a more durable installation, but also a cleaner, tighter look. Should you choose to close off the Lean-To, the keder track offers an easier solution for opening and closing the walls. 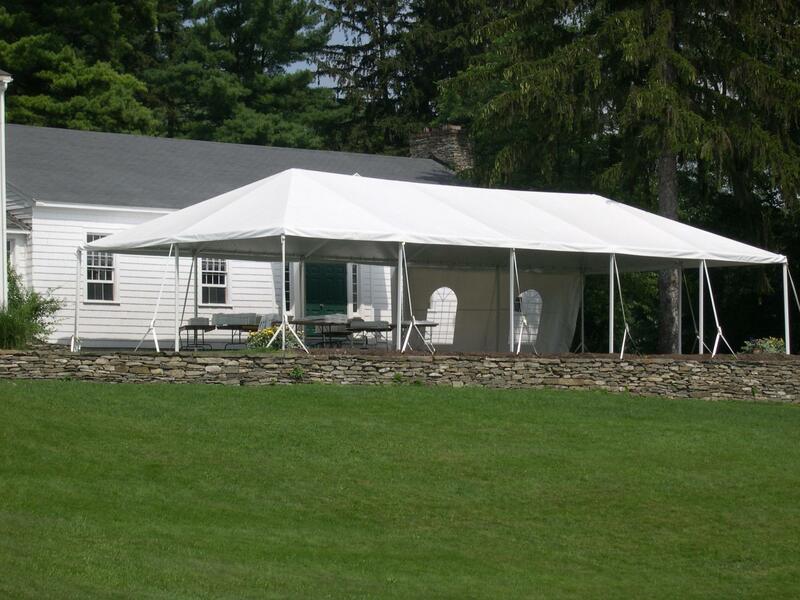 This frame tent utilizes our five track extrusion and comes with our 16 oz. 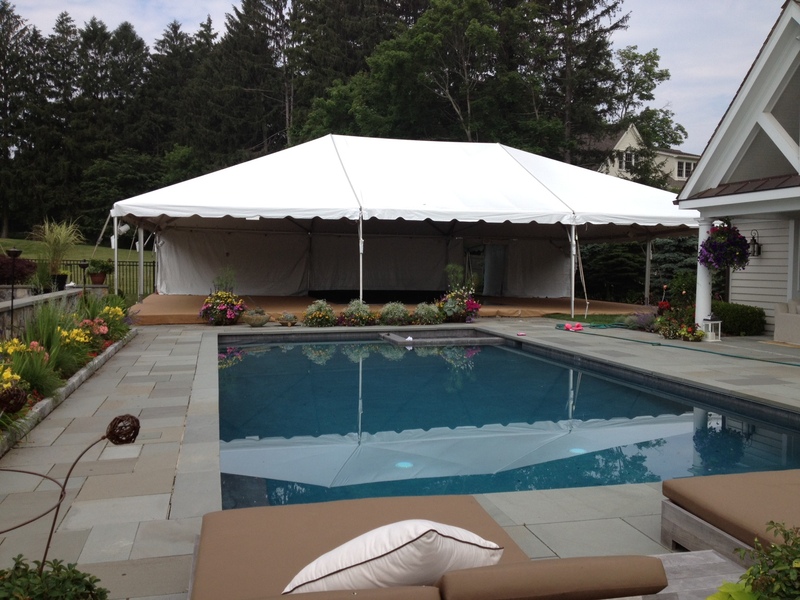 blockout fabric and standard 8’ leg. 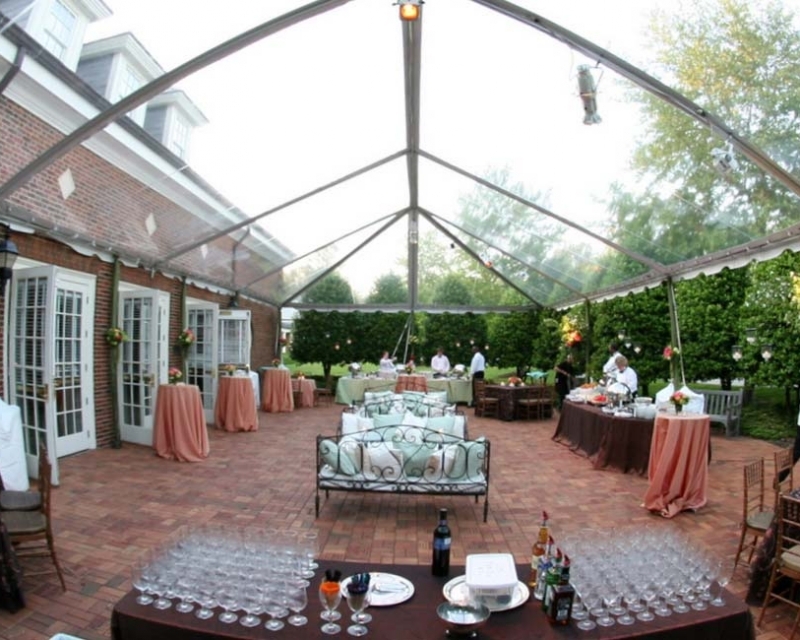 Same elegant look as a Frame & Cable, but with a larger frame system. 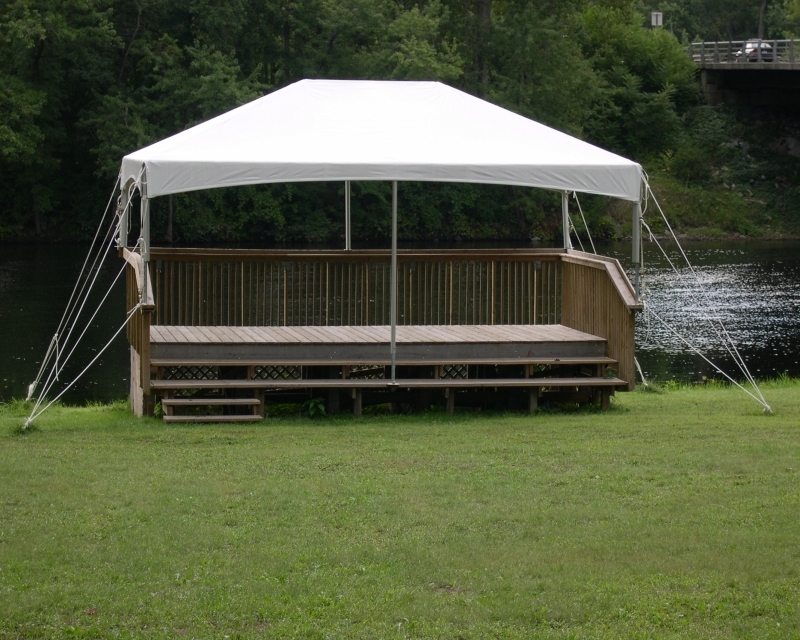 This frame style eliminates rafter pipe by using steel cables with a center mast for the peak. 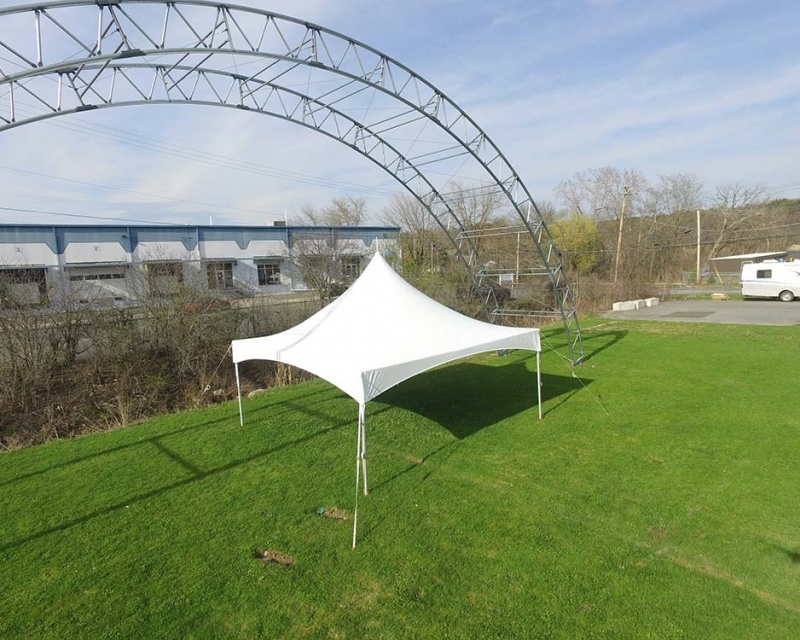 Unit price includes steel fittings, 5 track aluminum with 4 mil clear anodizing, cables, footpads, ropes, stakes and blockout fabric. 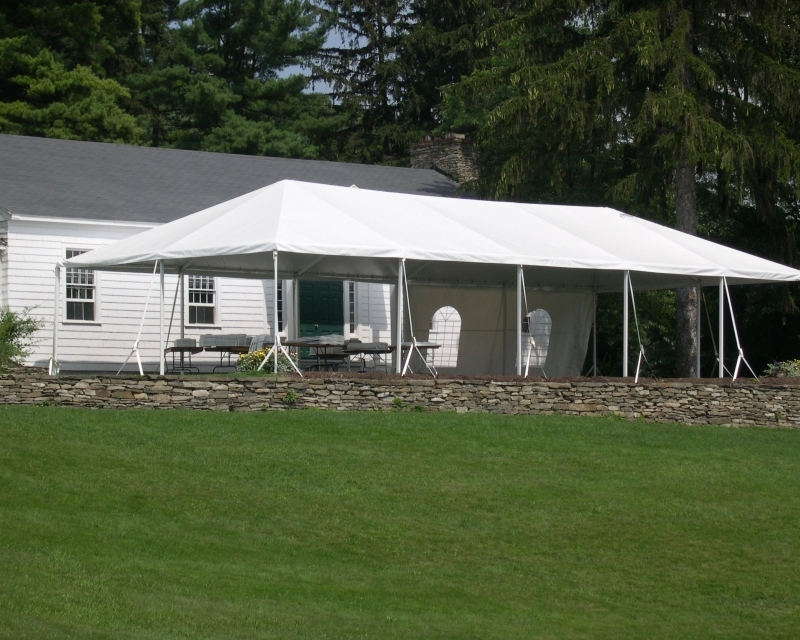 The Halfmoon Marquee is a radius, kedered frame tent that keeps your guests protected from the elements as they travel from tent to tent. 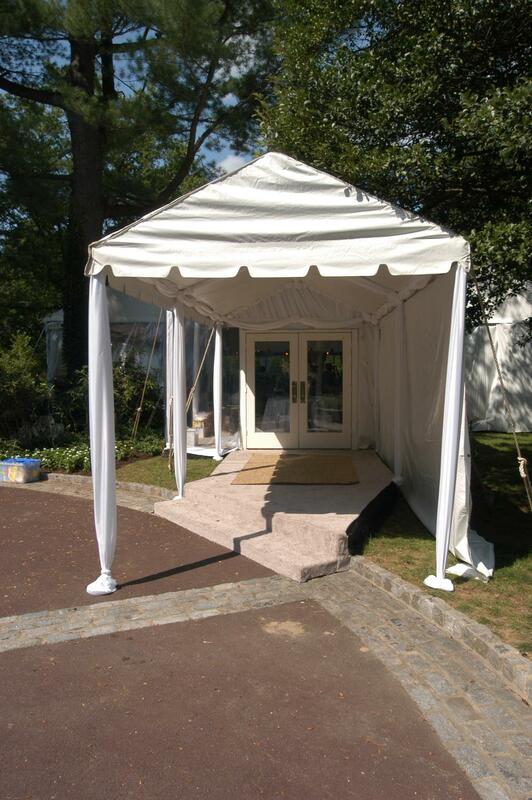 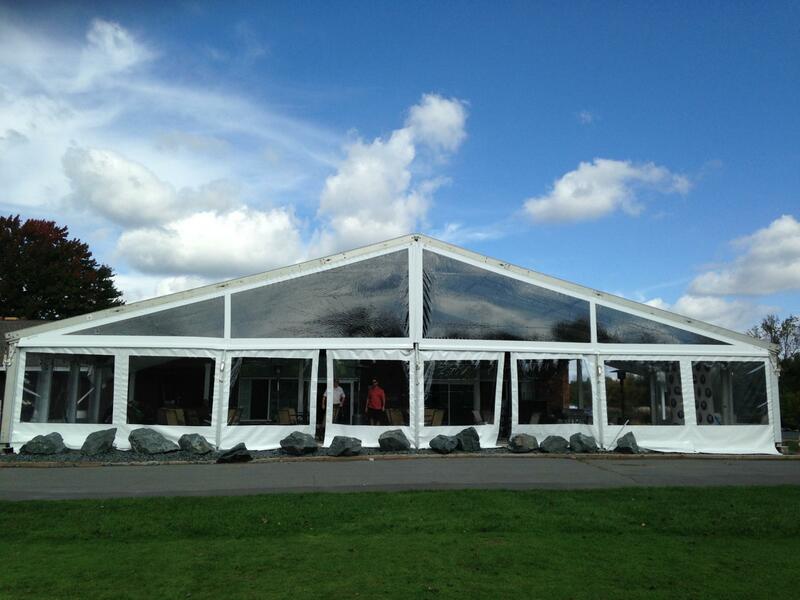 Our Halfmoon Marquees are available in 9’ and 5m to provide you with a clean fit. 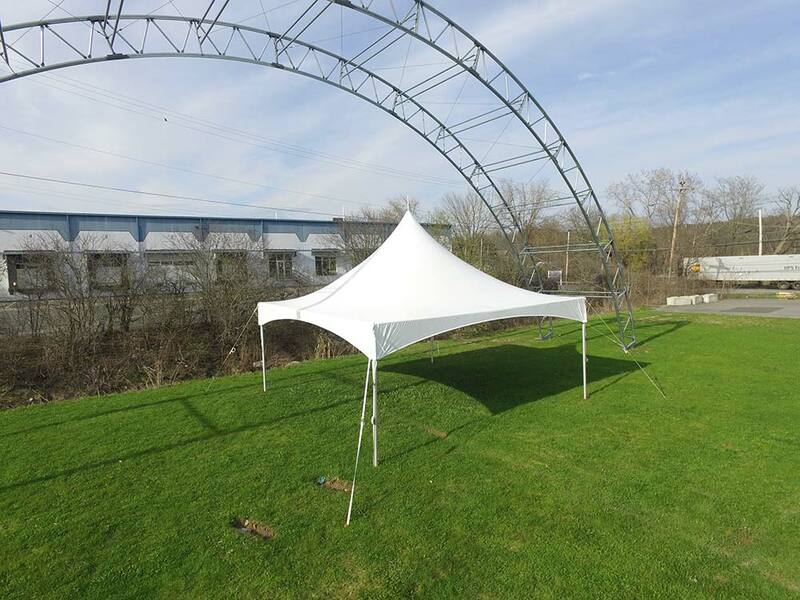 This frame tent utilizes our five track extrusion and comes with our 16 oz. 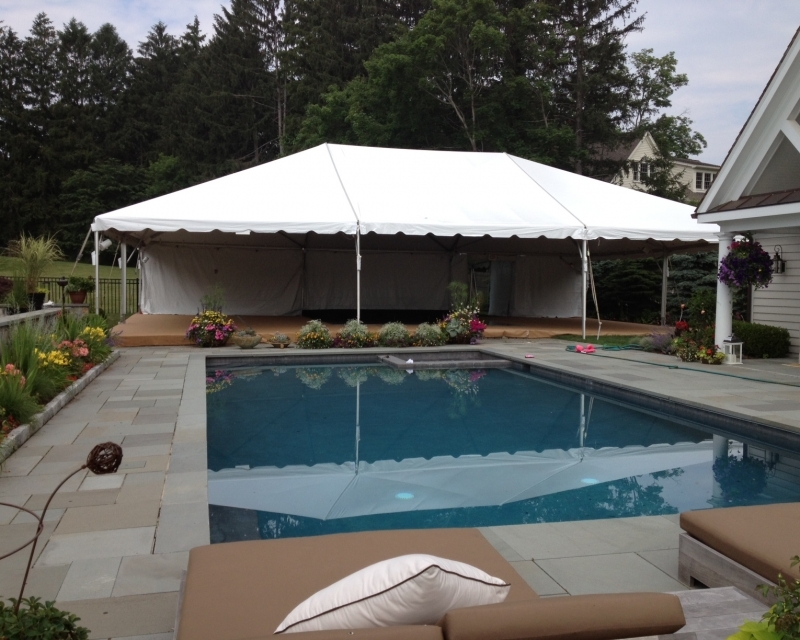 laminate blockout fabric and standard 8’ leg.